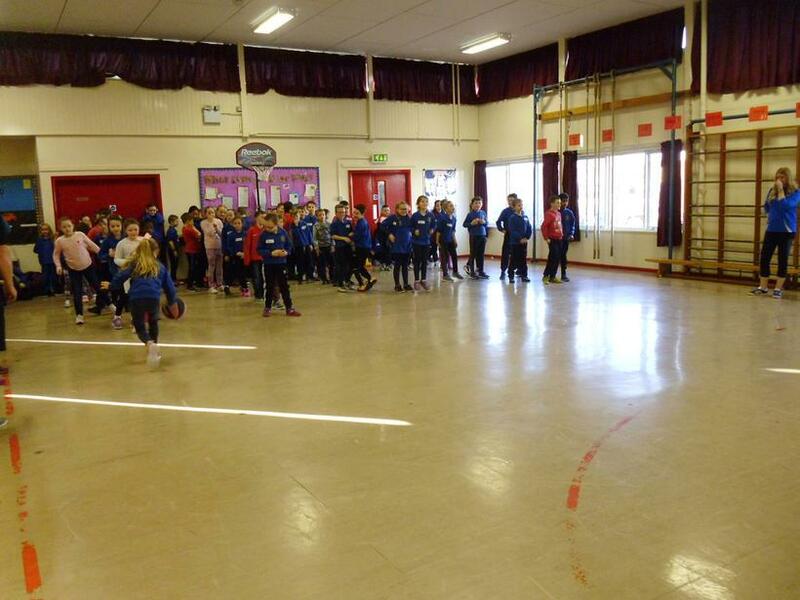 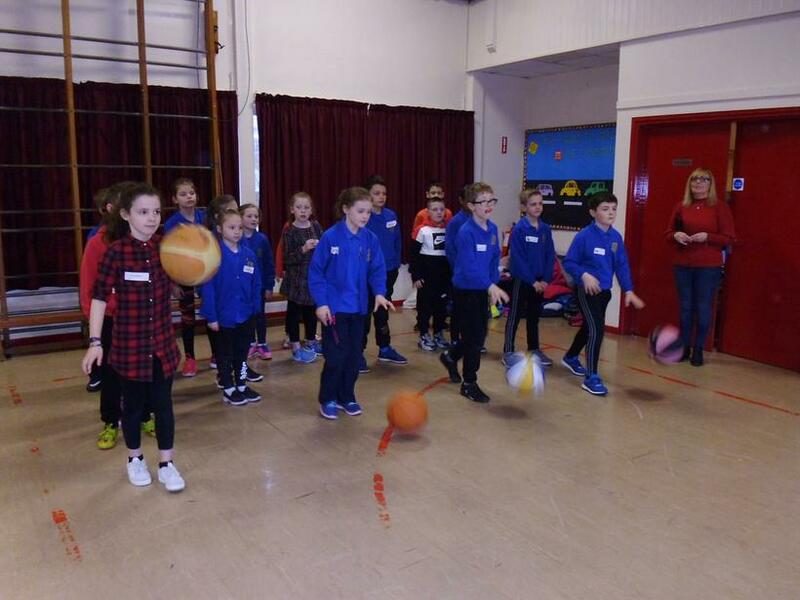 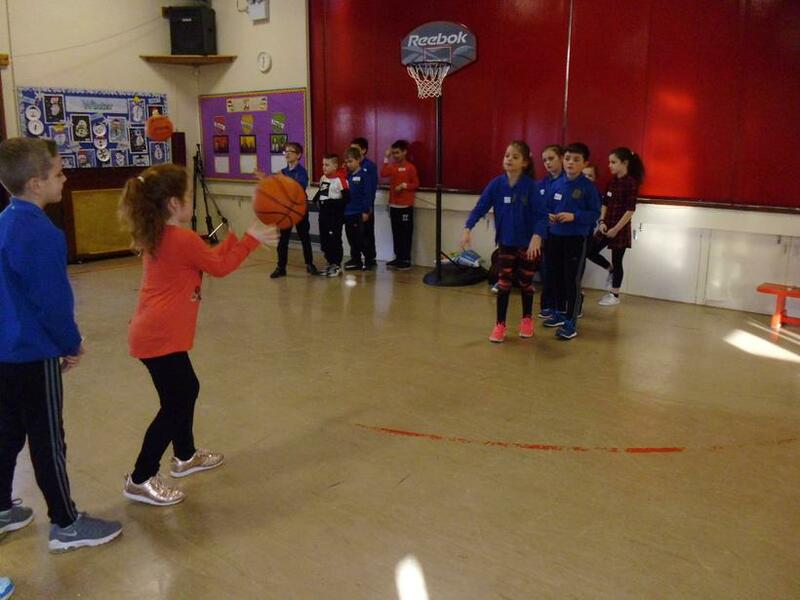 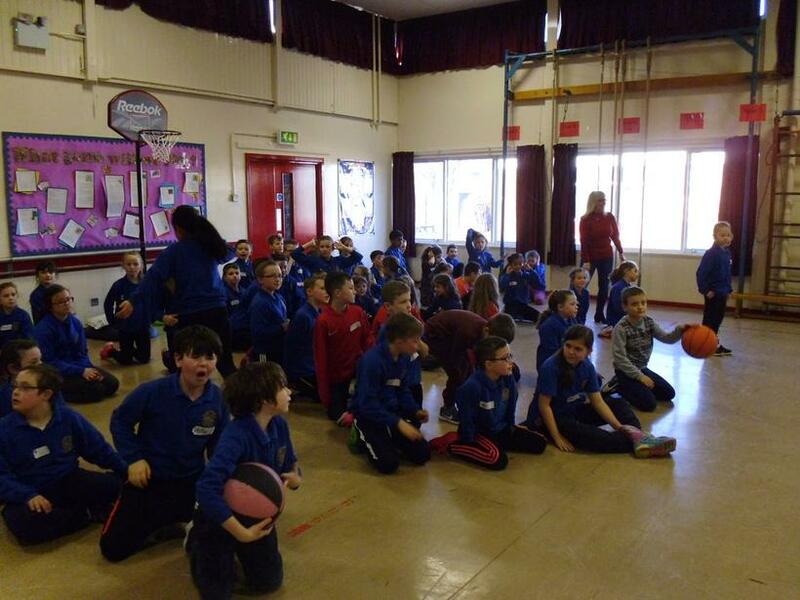 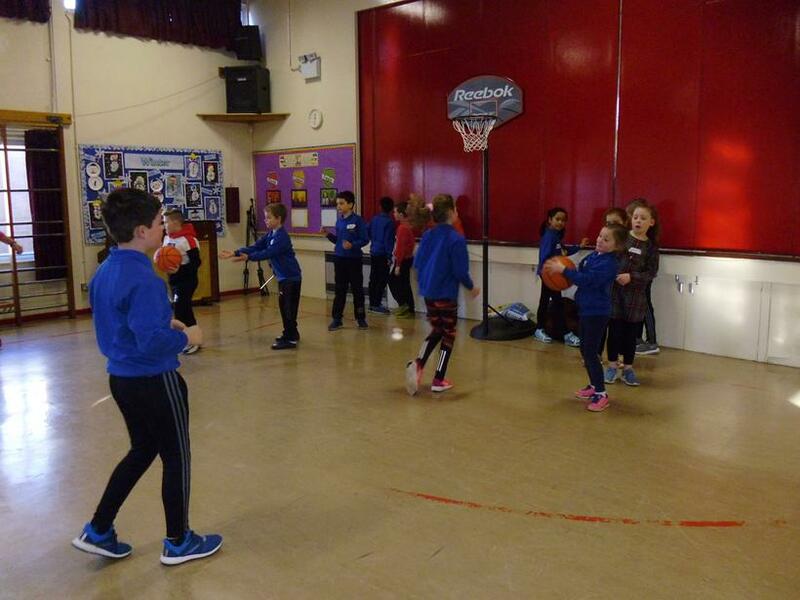 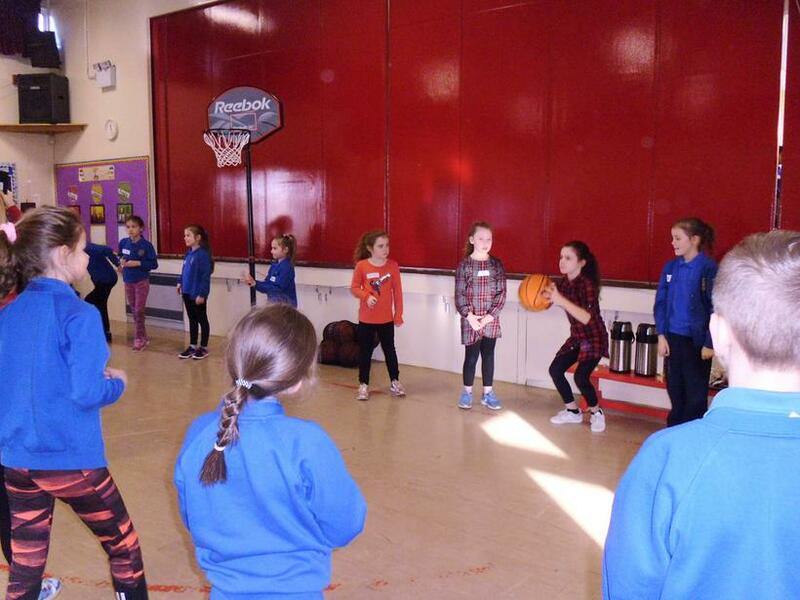 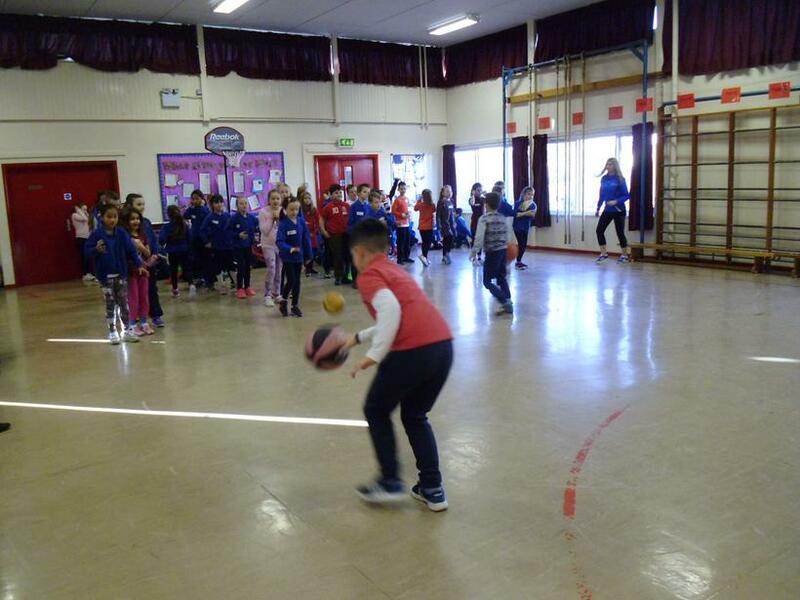 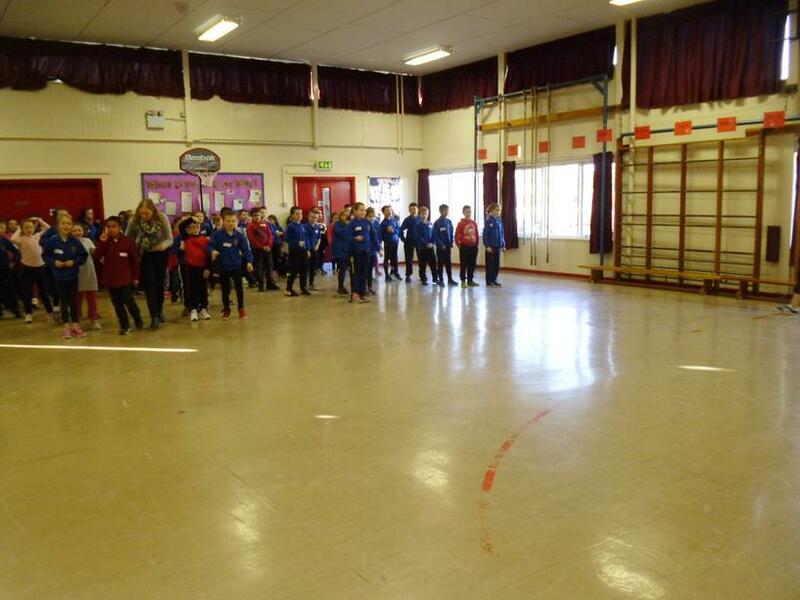 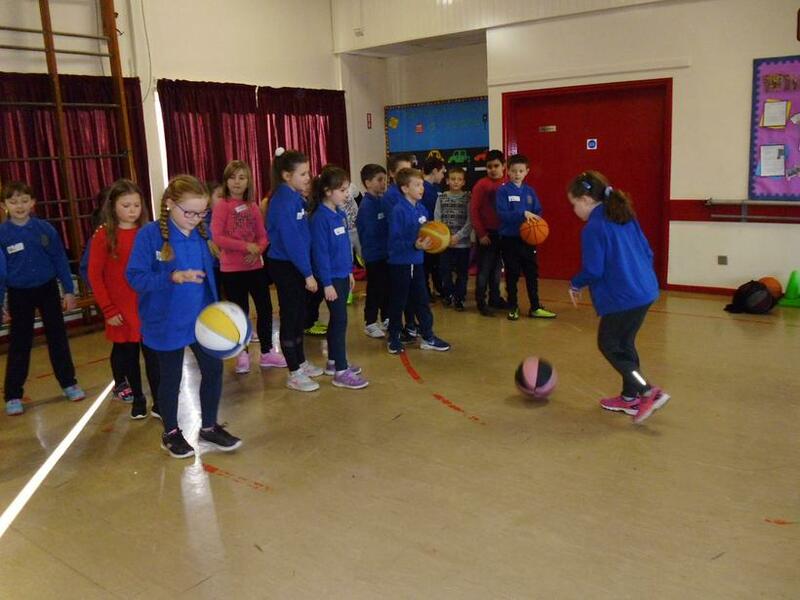 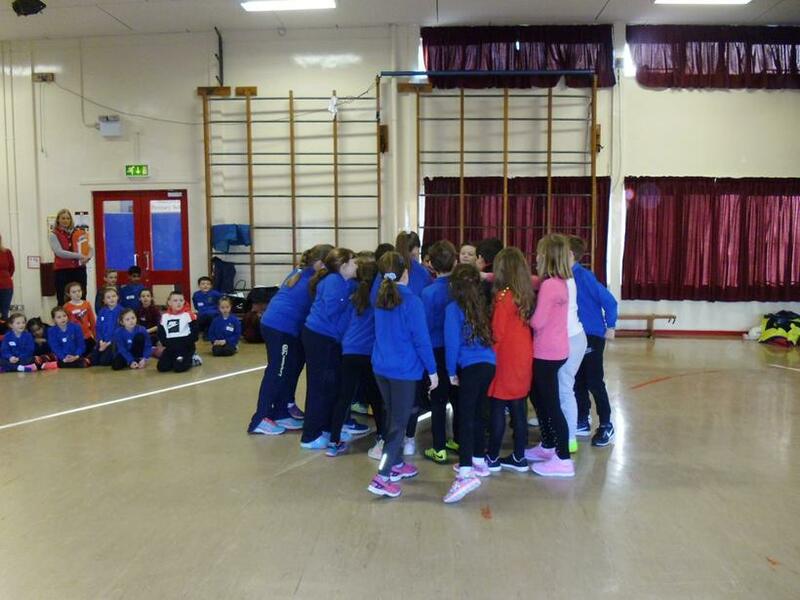 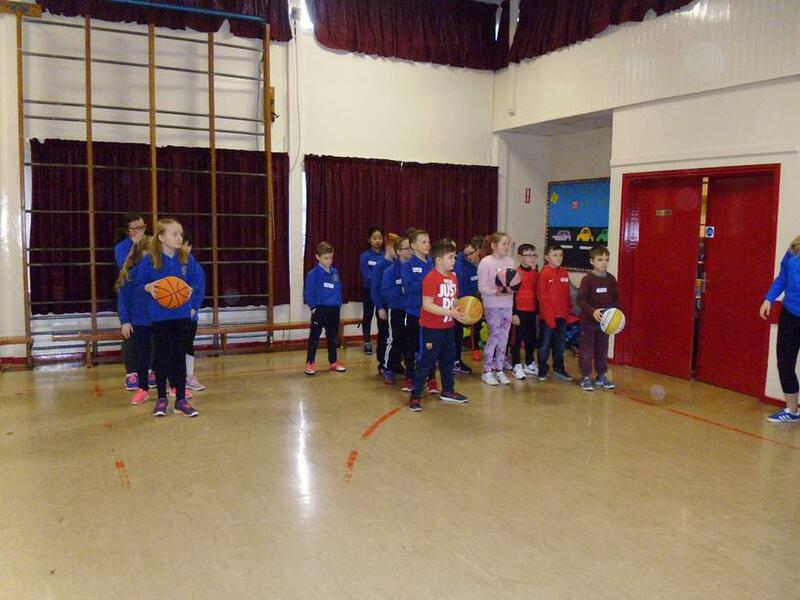 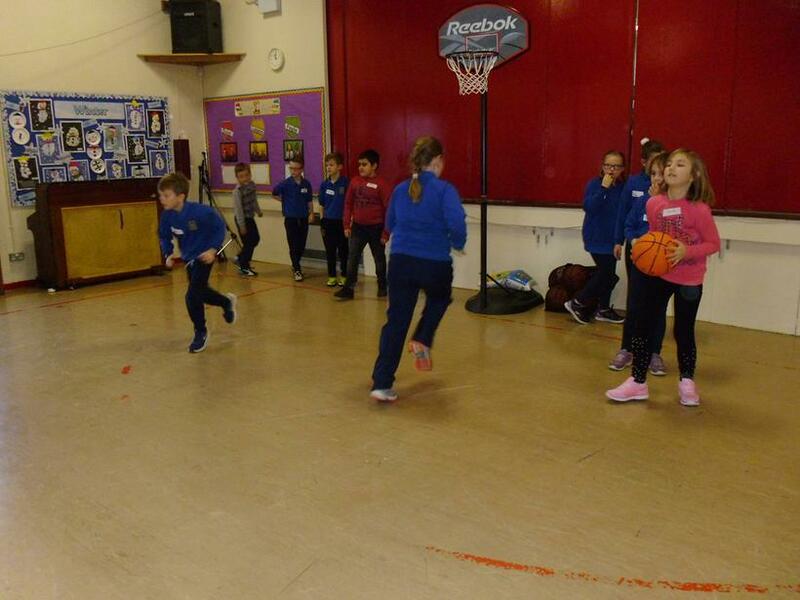 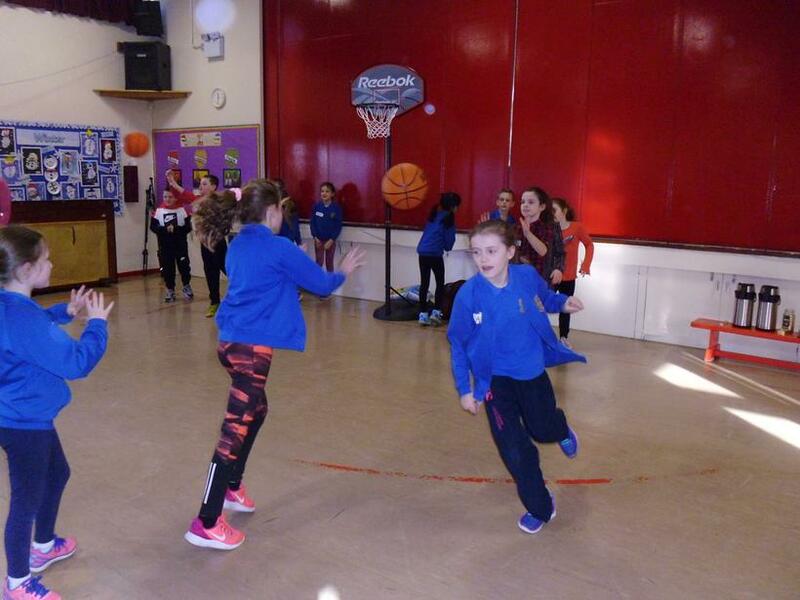 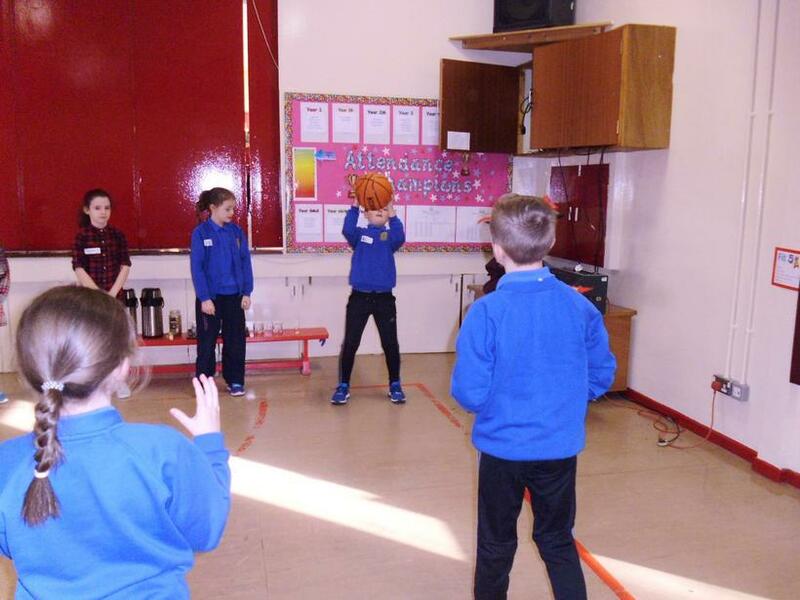 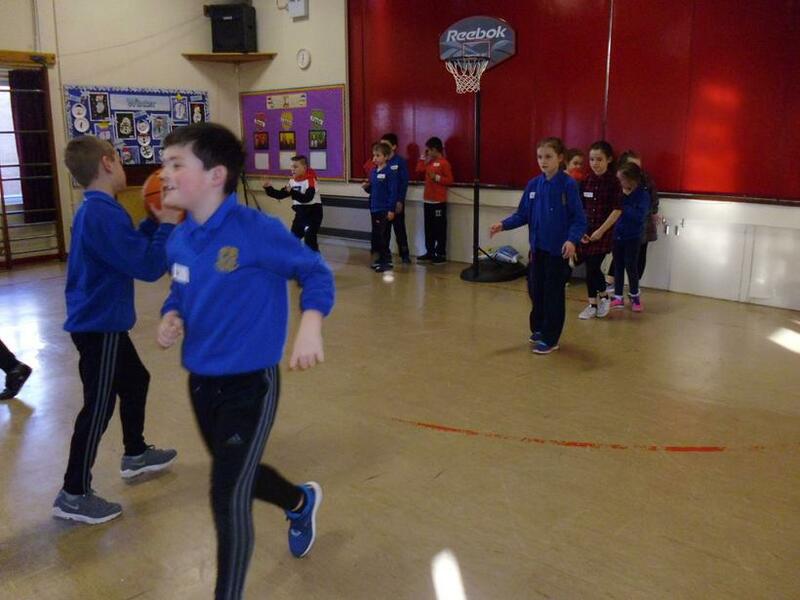 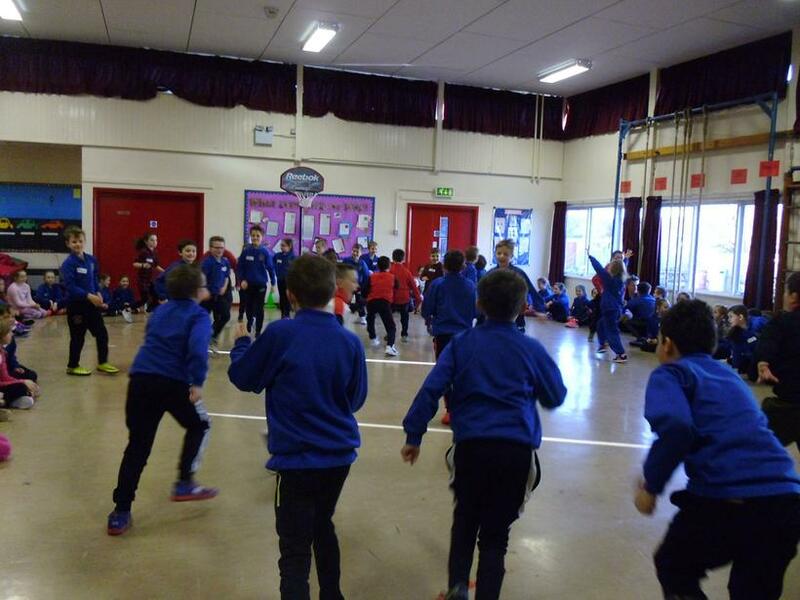 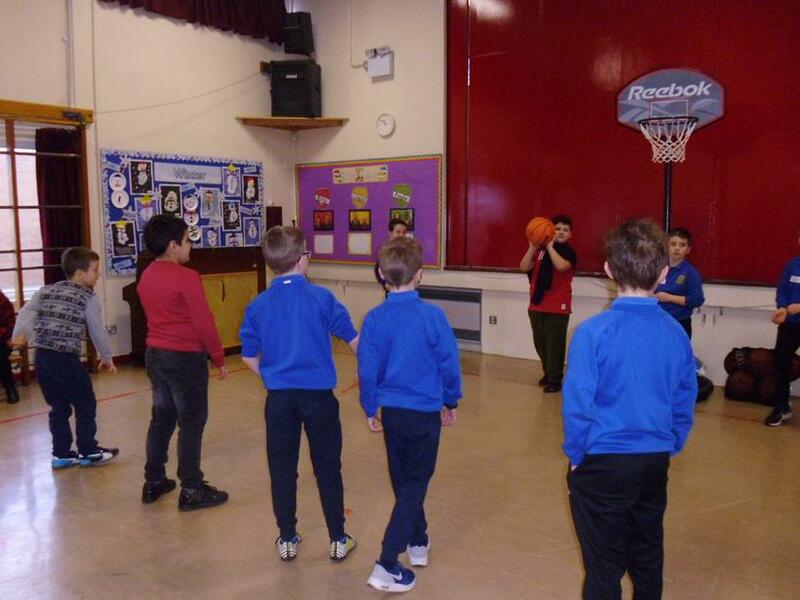 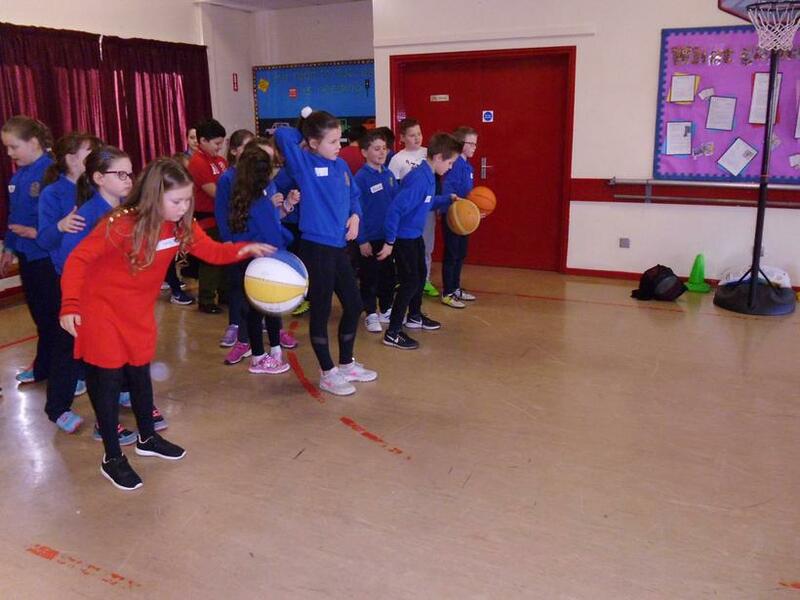 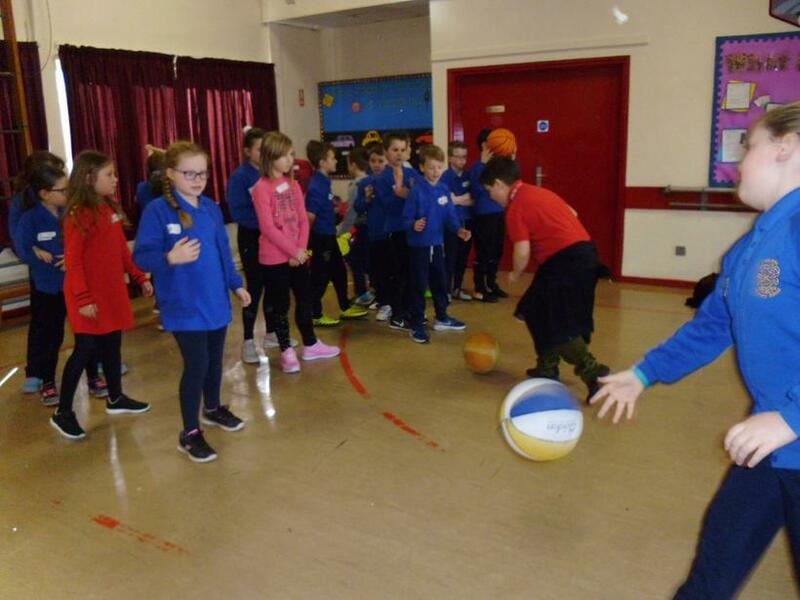 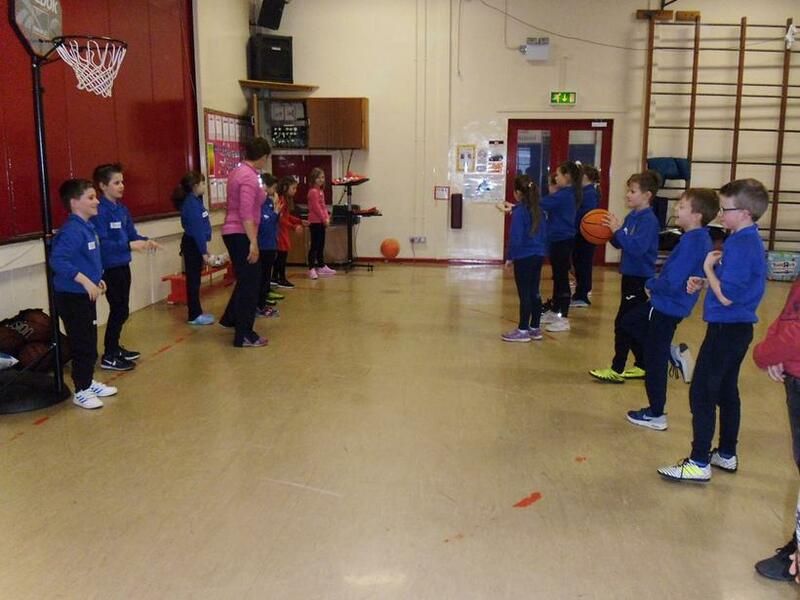 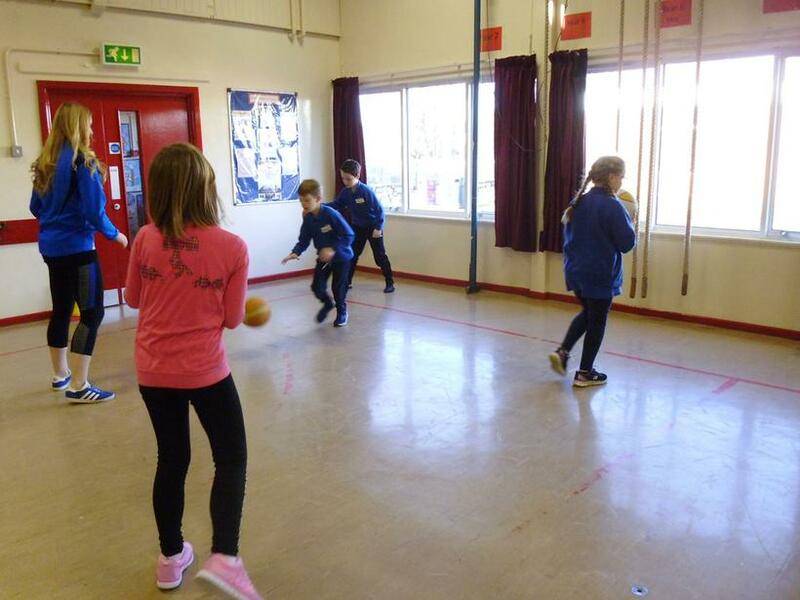 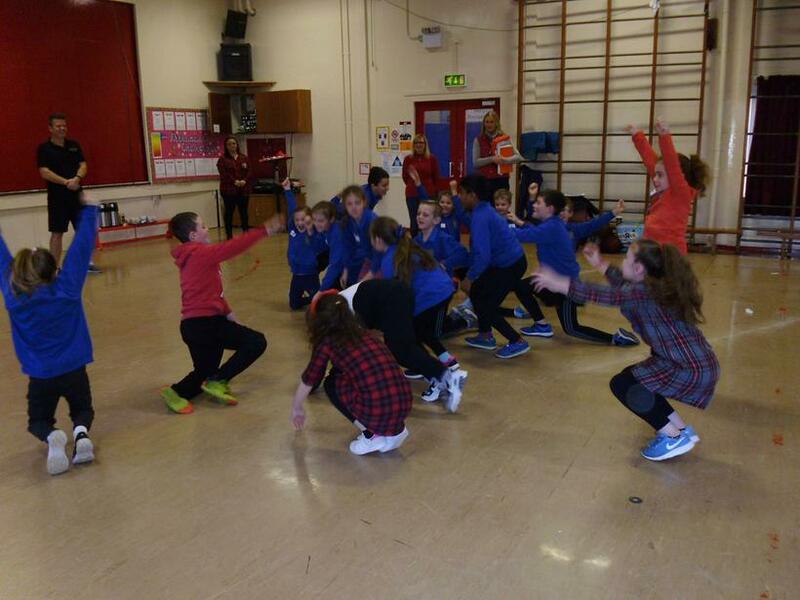 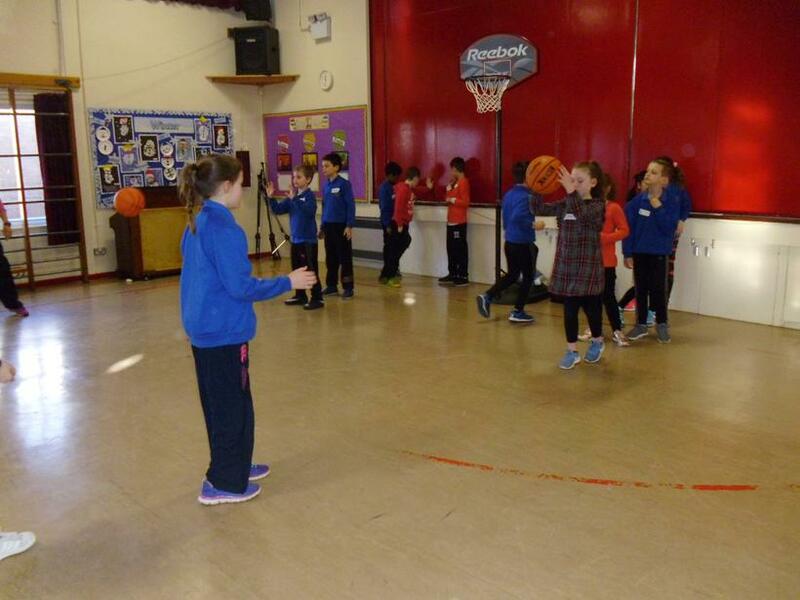 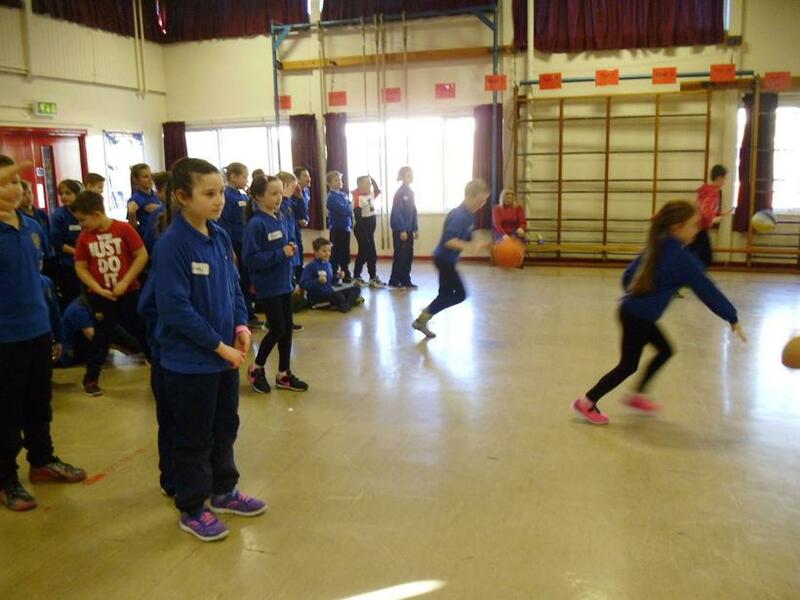 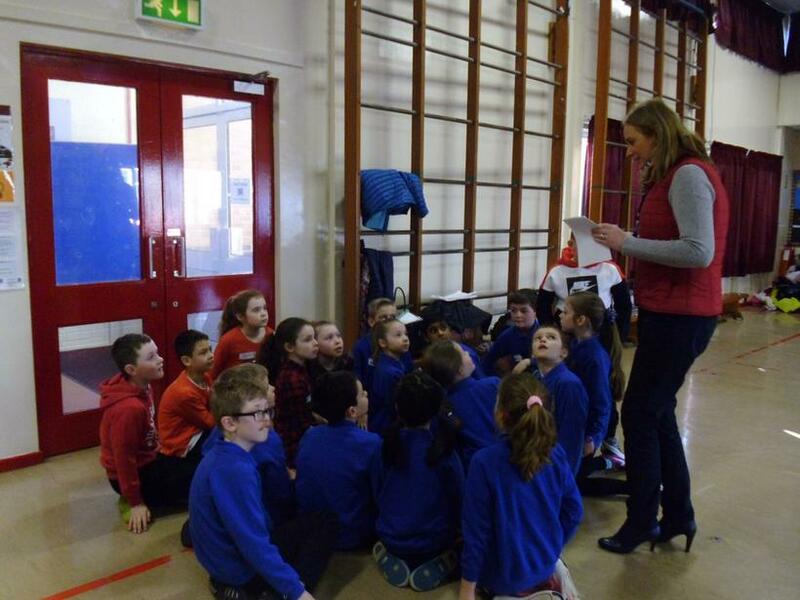 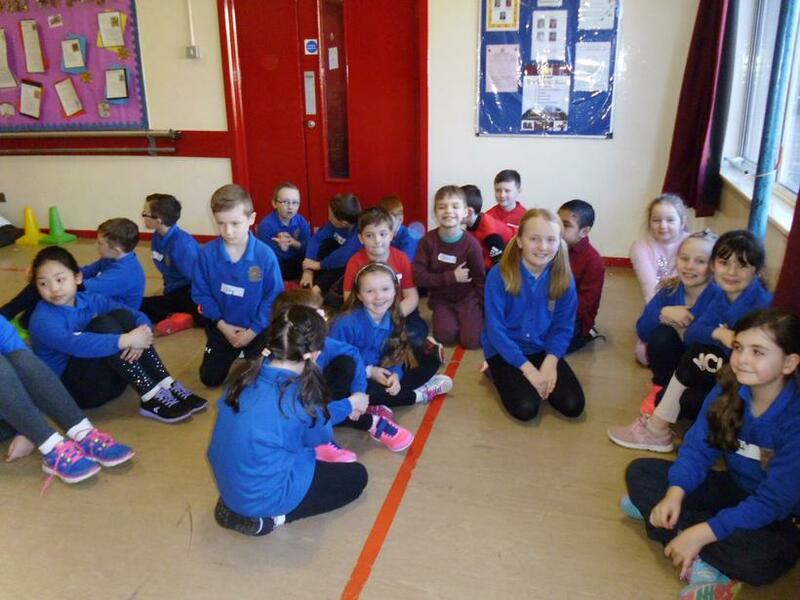 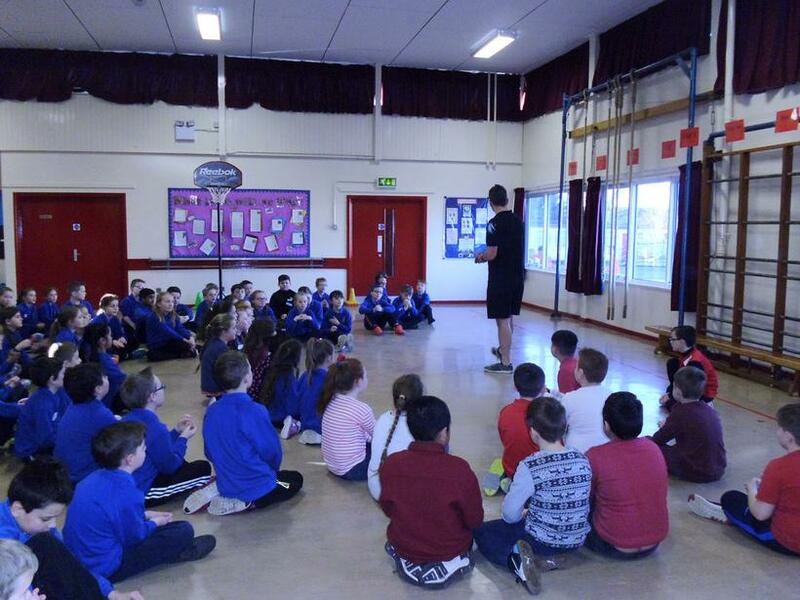 Together with Mrs McQuitty's class we travelled to Ballyoran to meet up with our friends in Year 5. 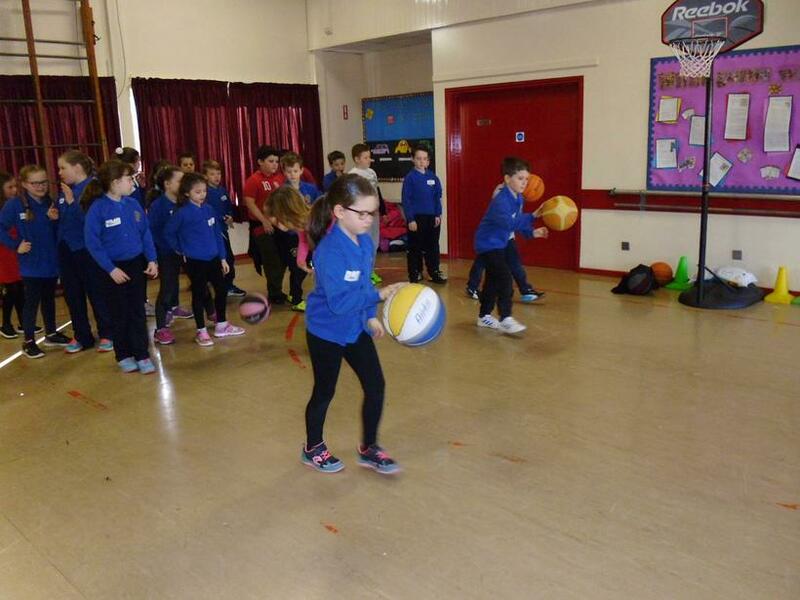 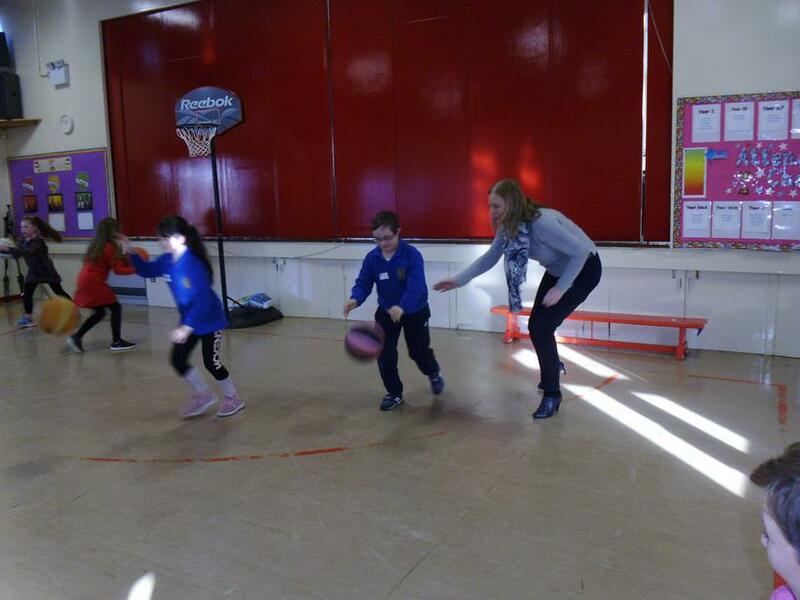 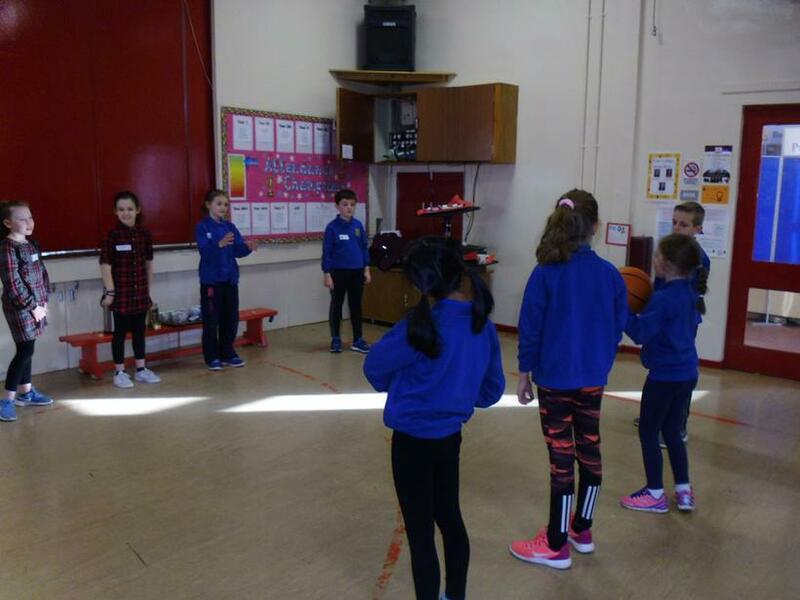 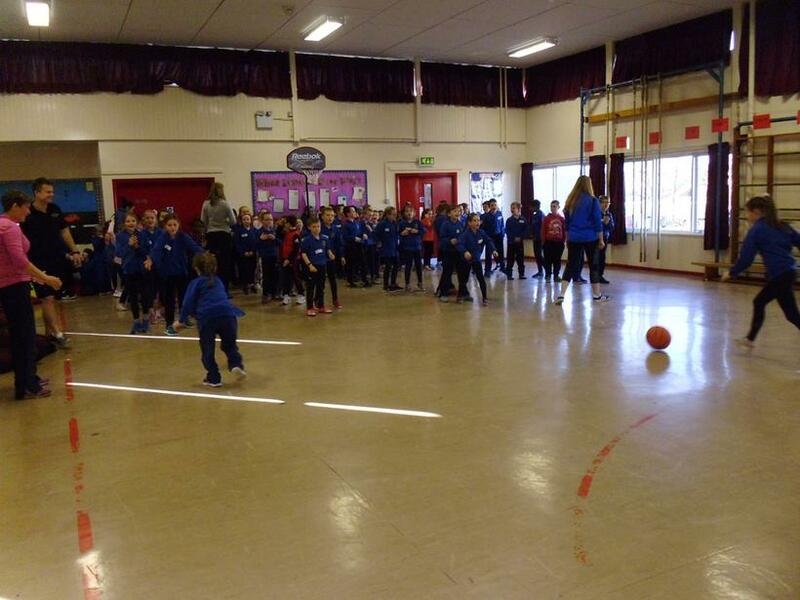 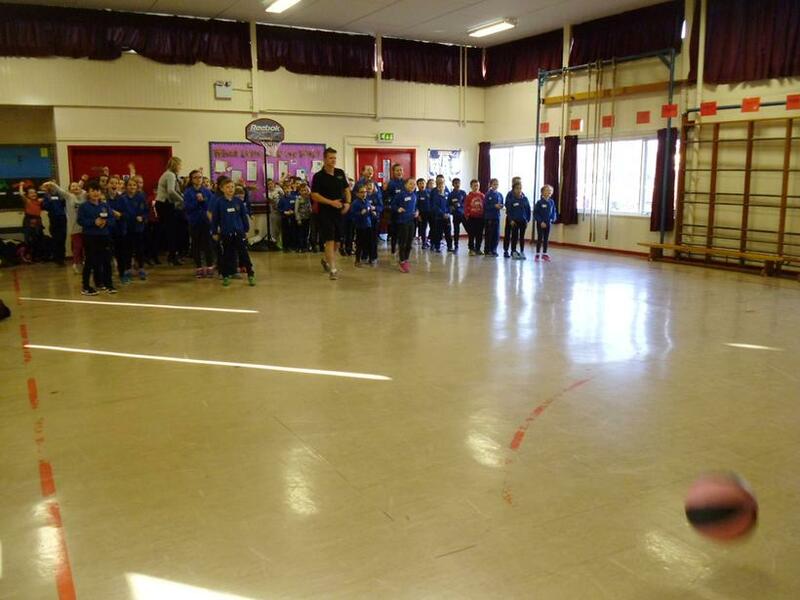 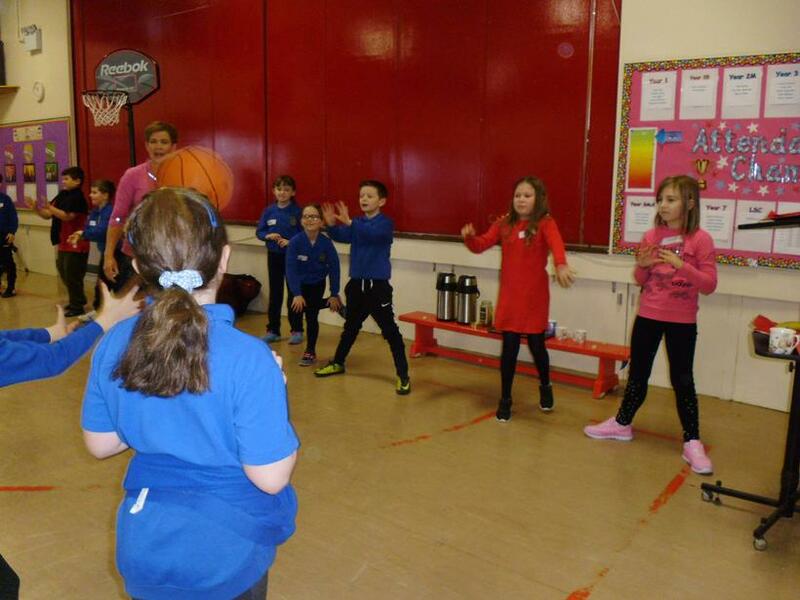 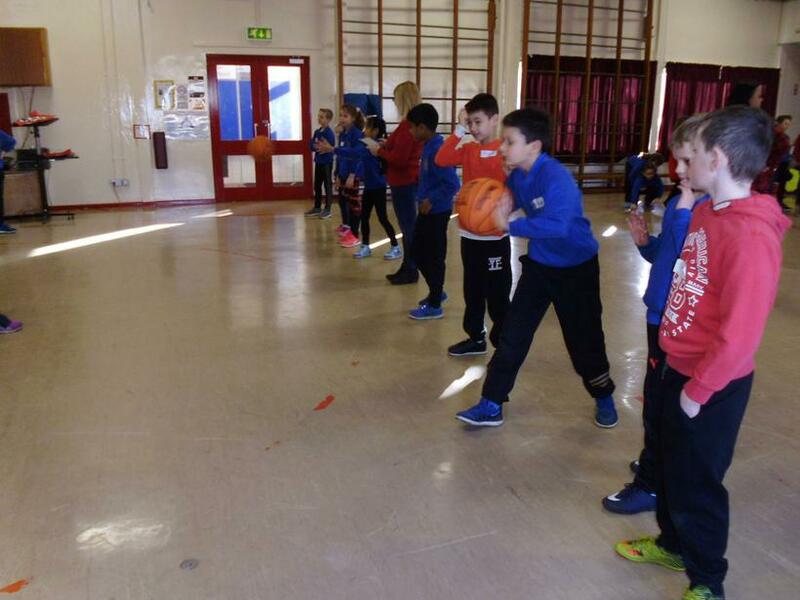 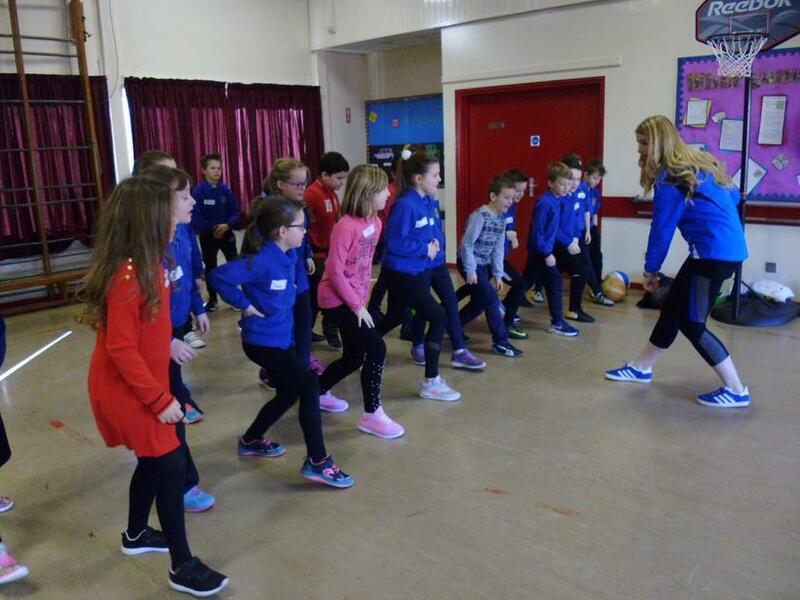 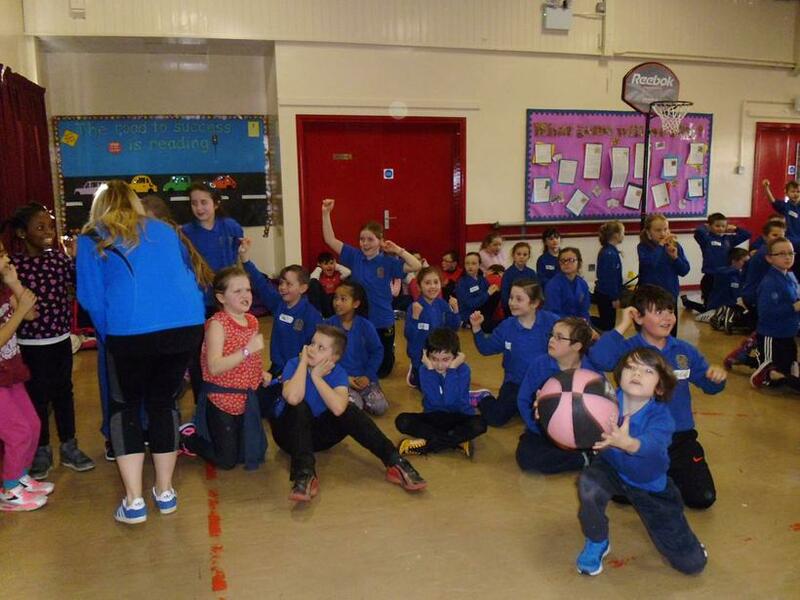 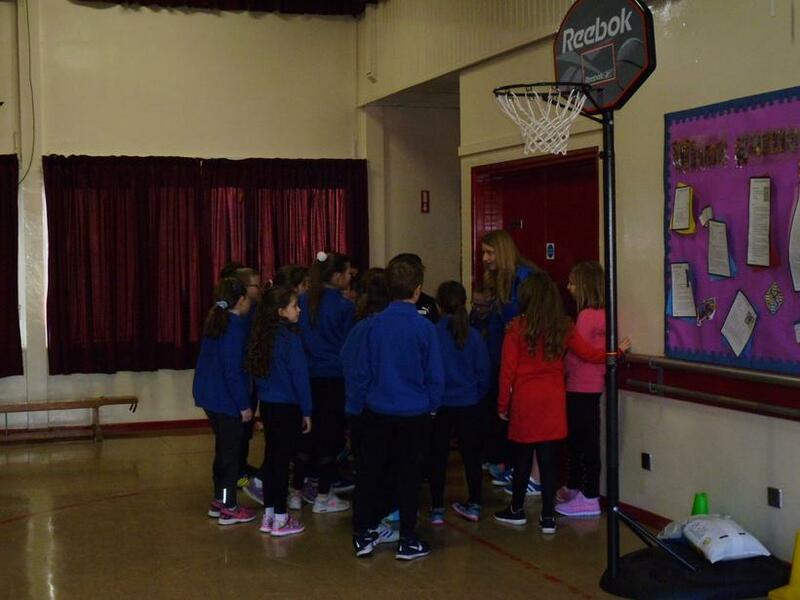 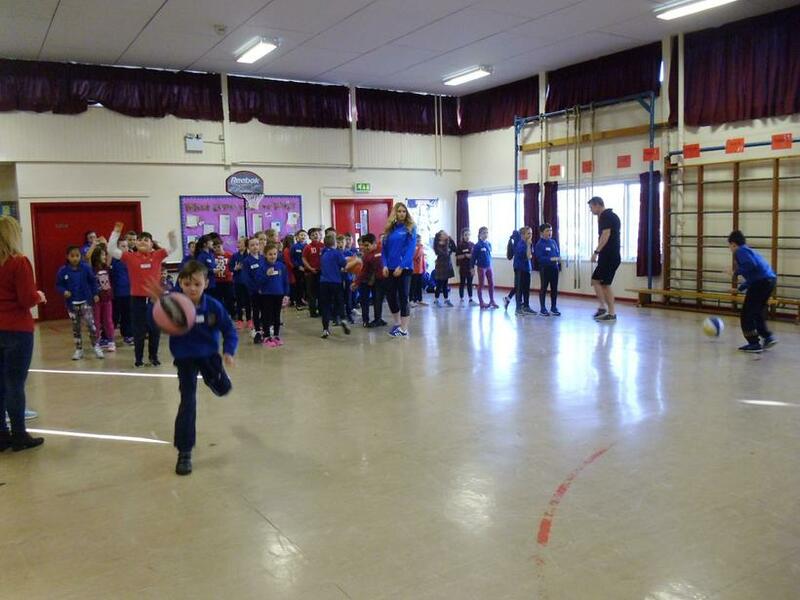 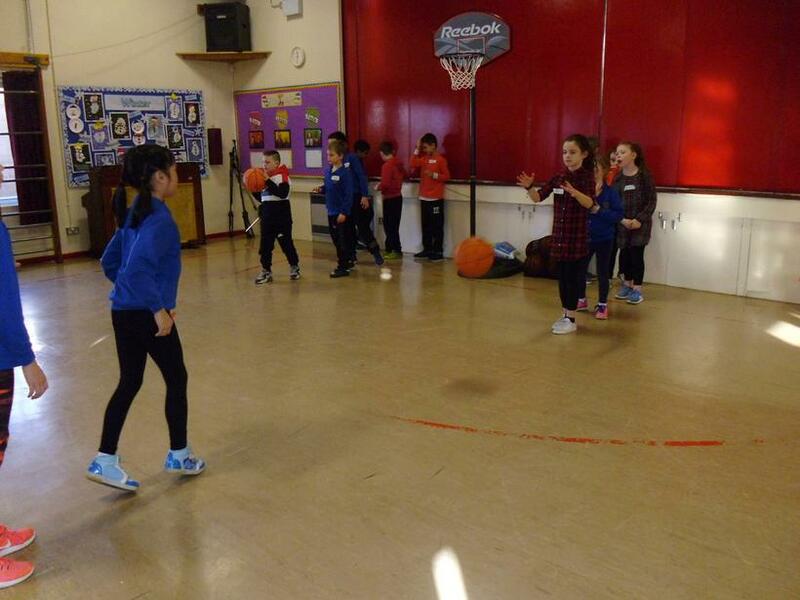 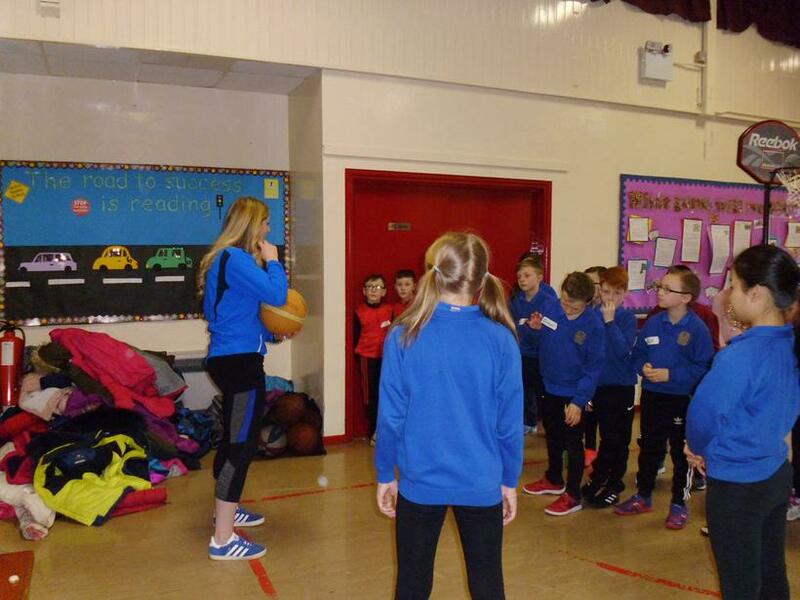 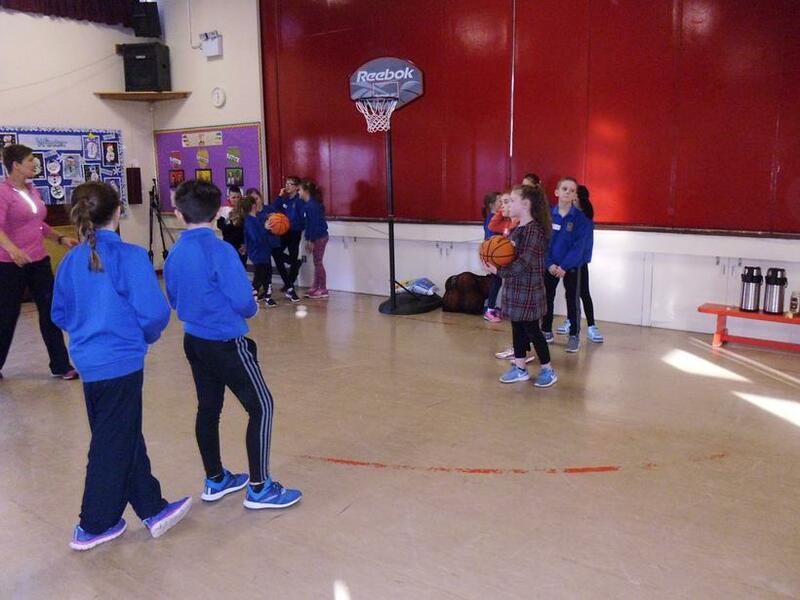 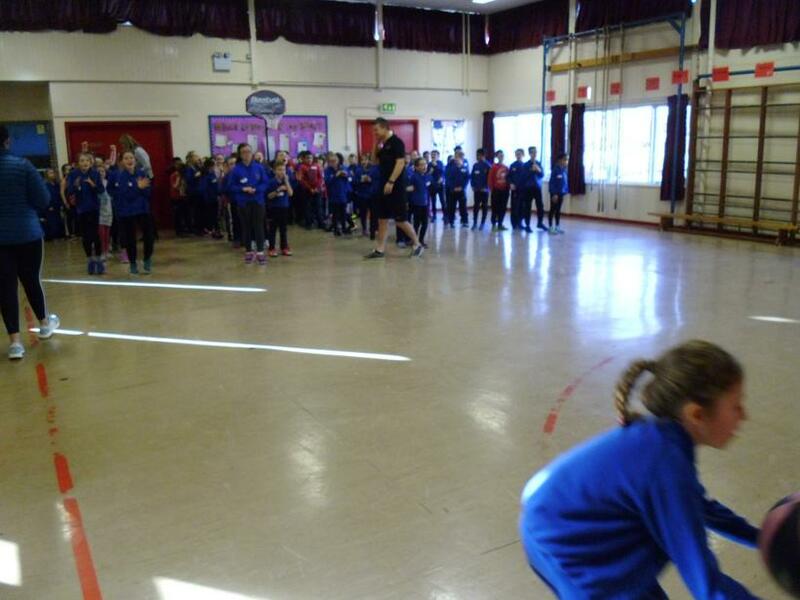 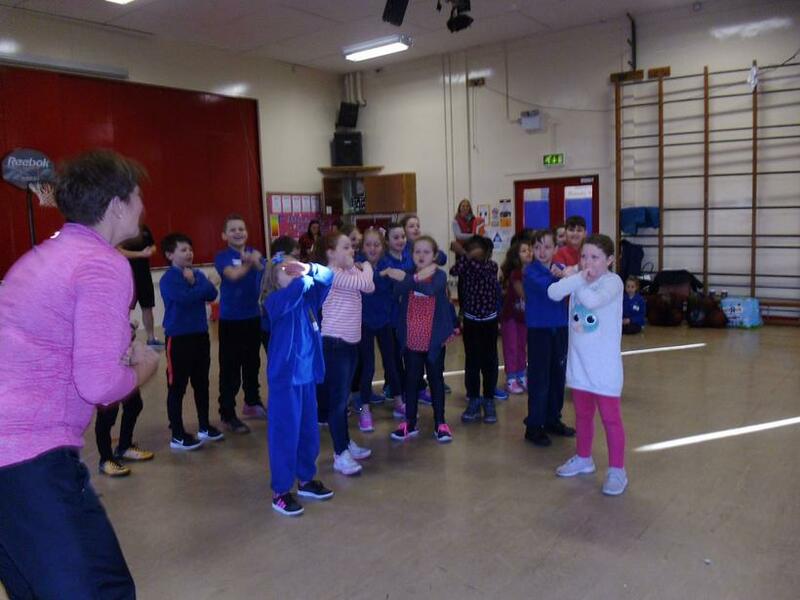 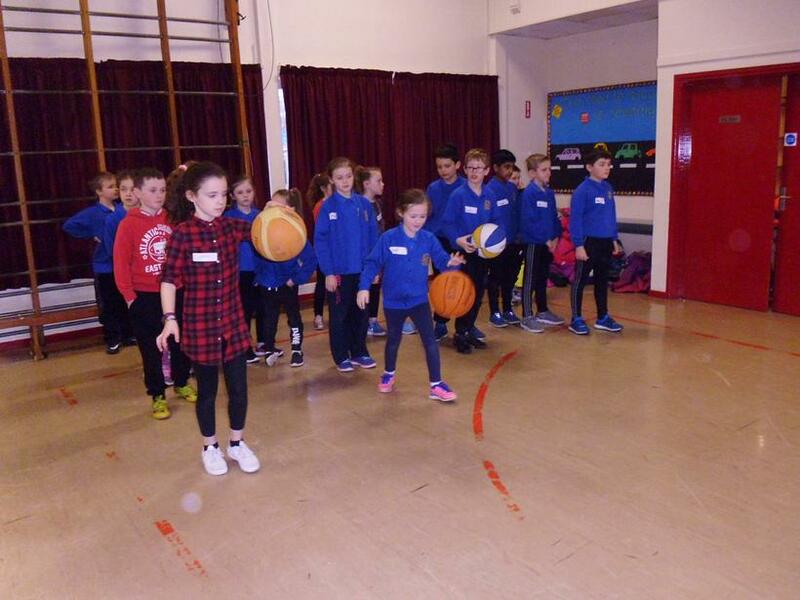 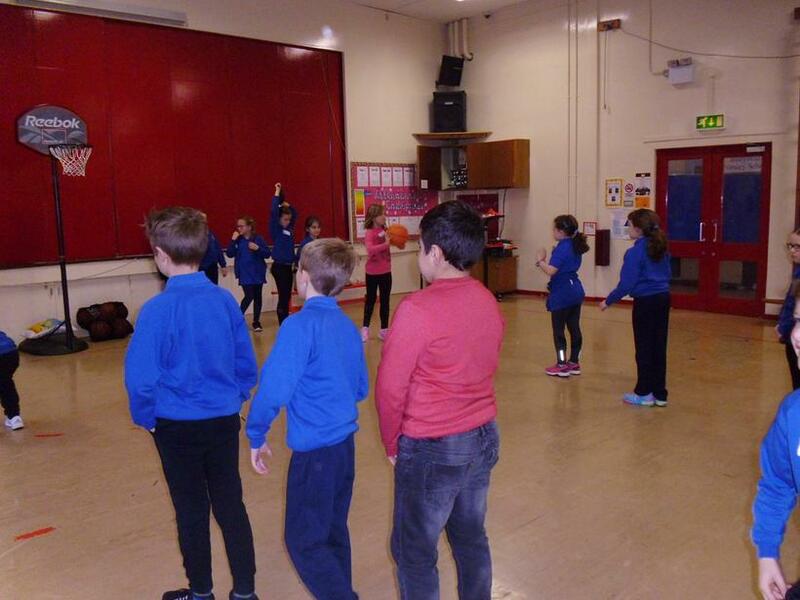 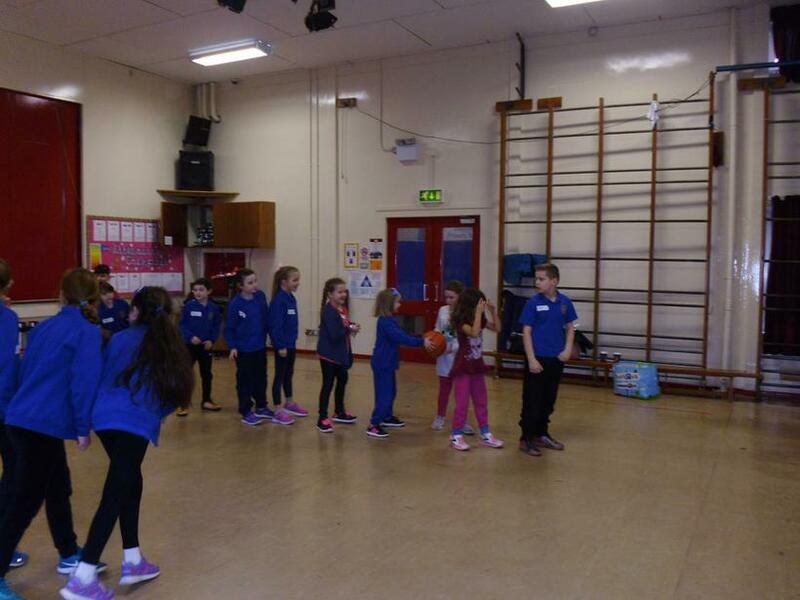 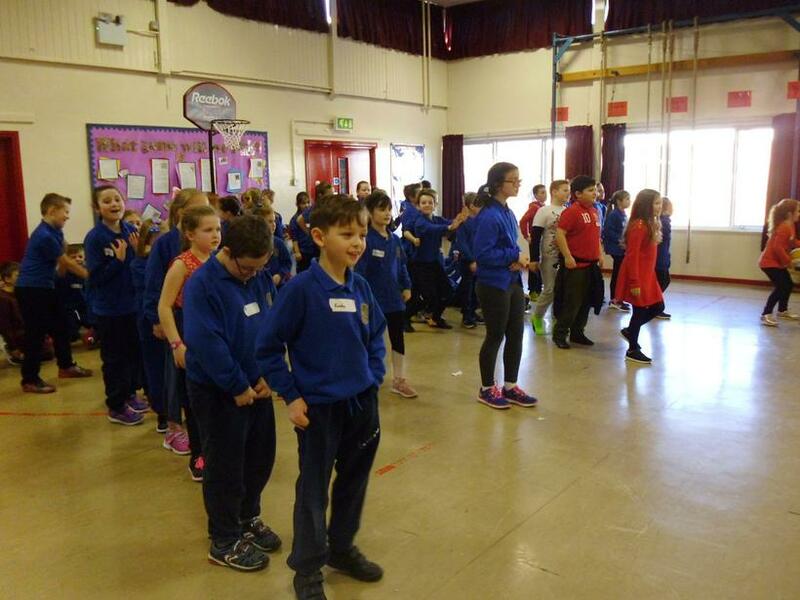 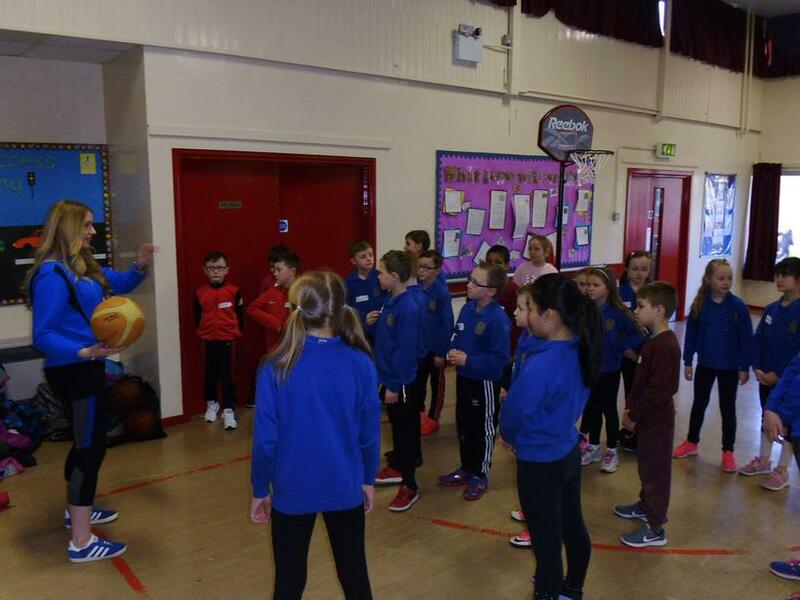 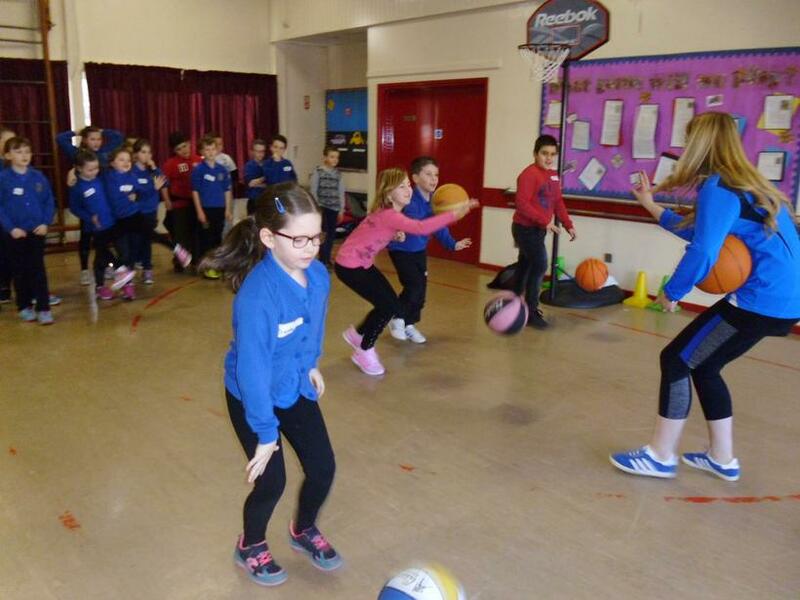 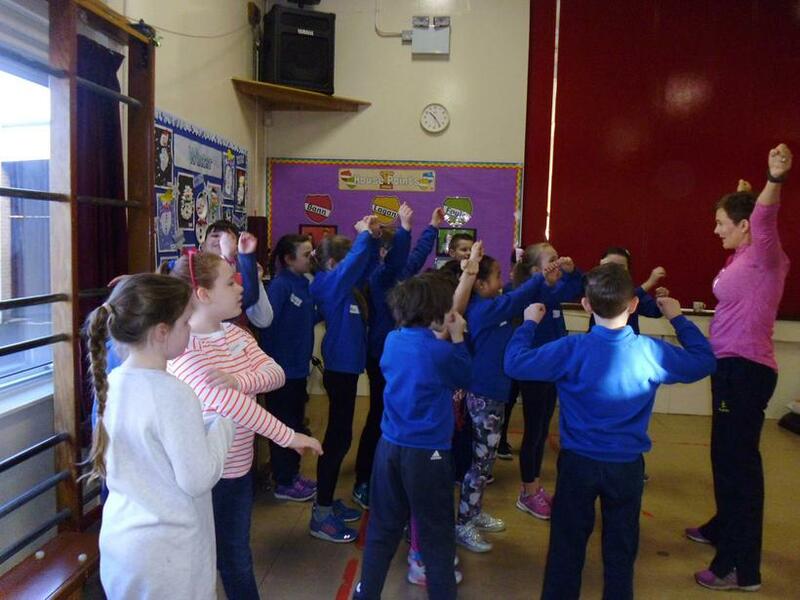 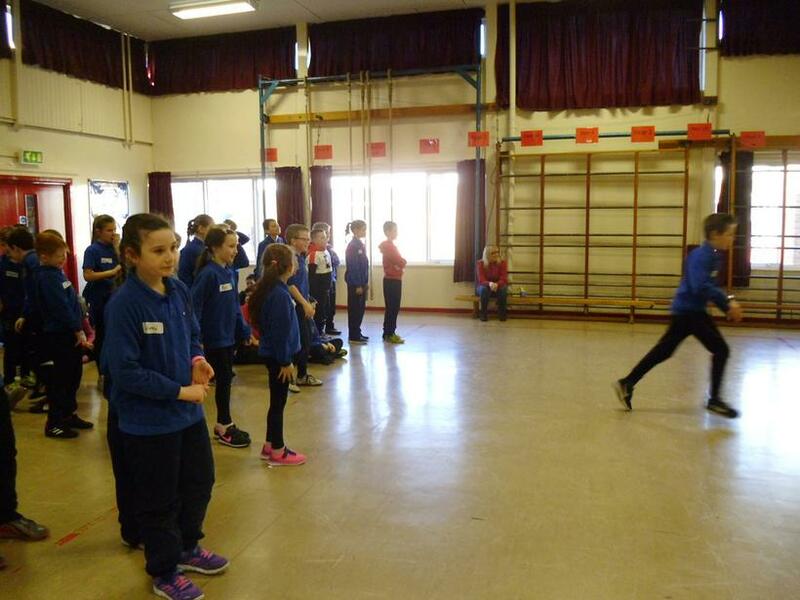 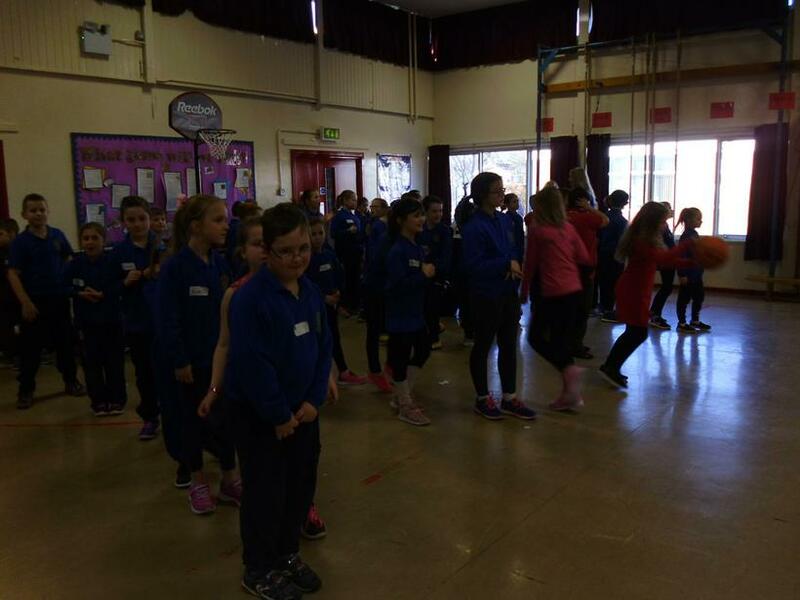 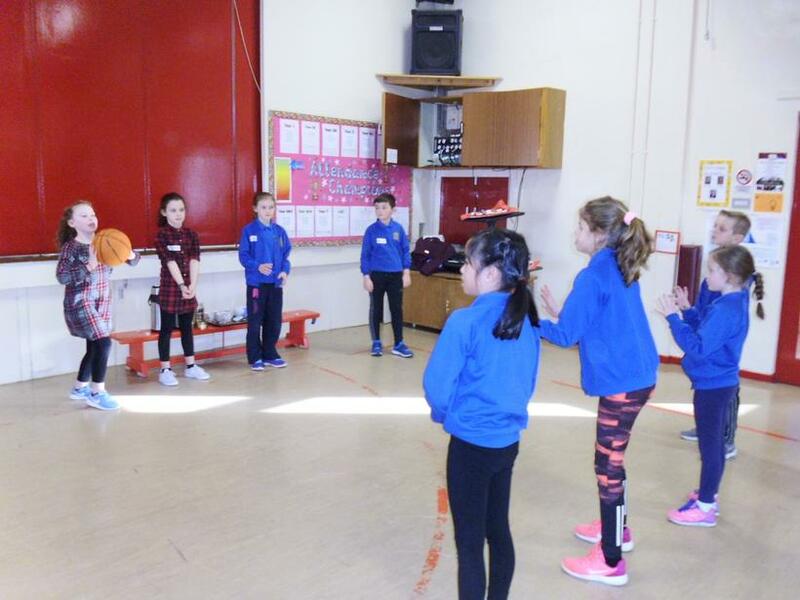 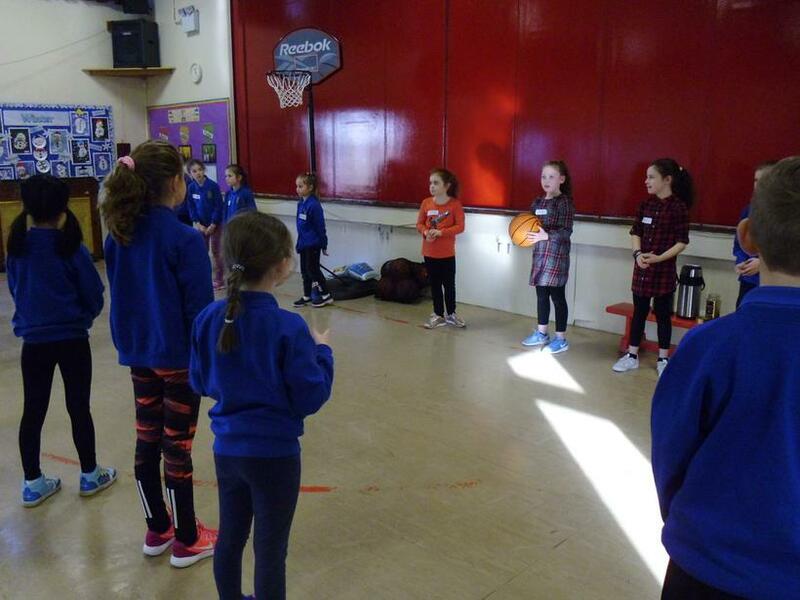 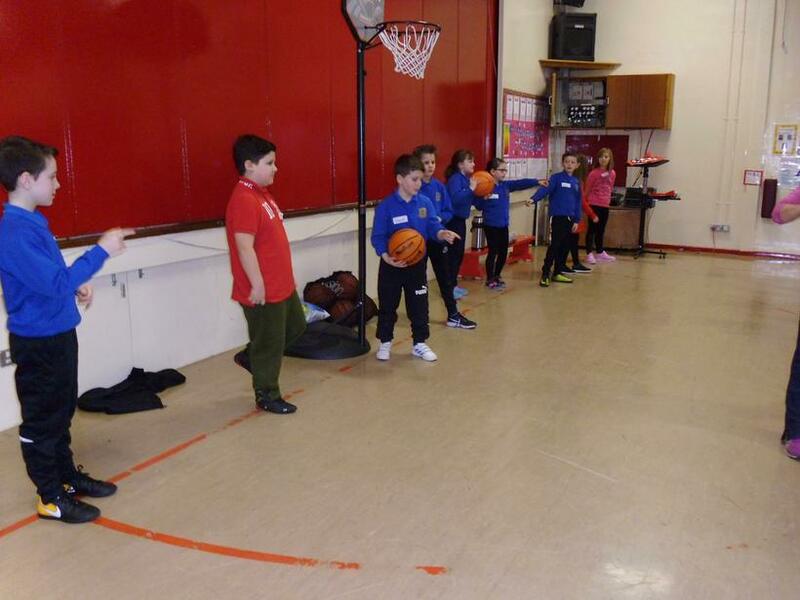 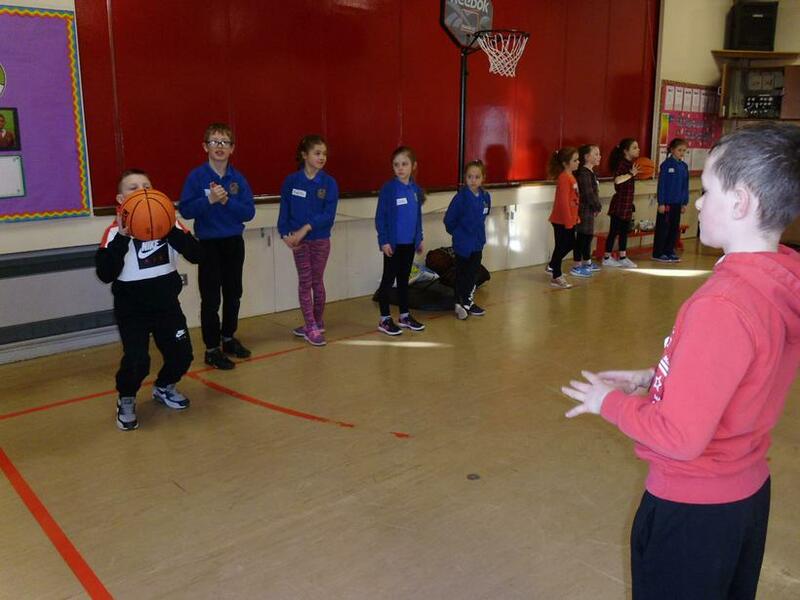 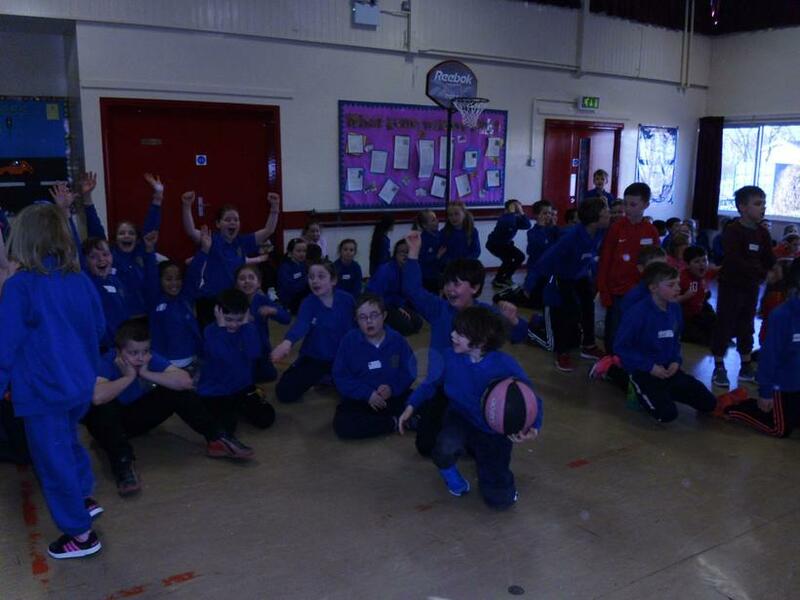 Everyone enjoyed their first session with Laura and Gareth from the Peace Players. 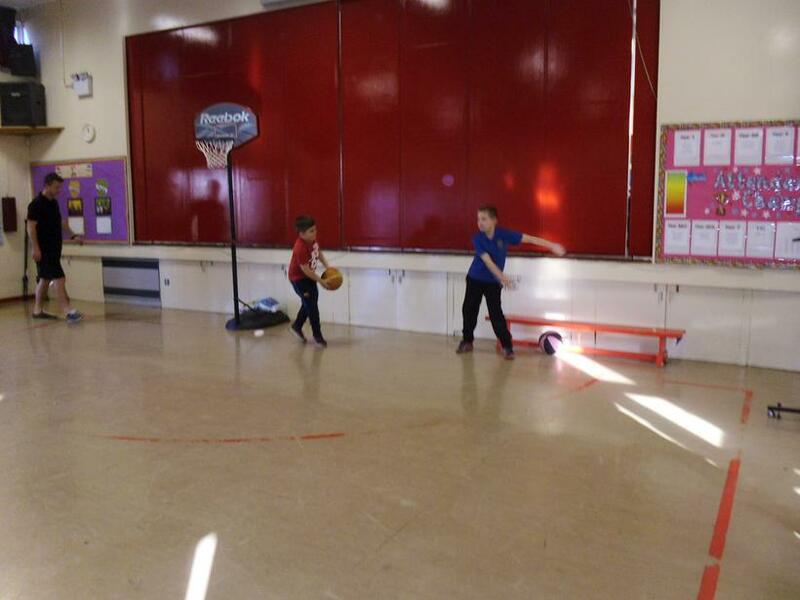 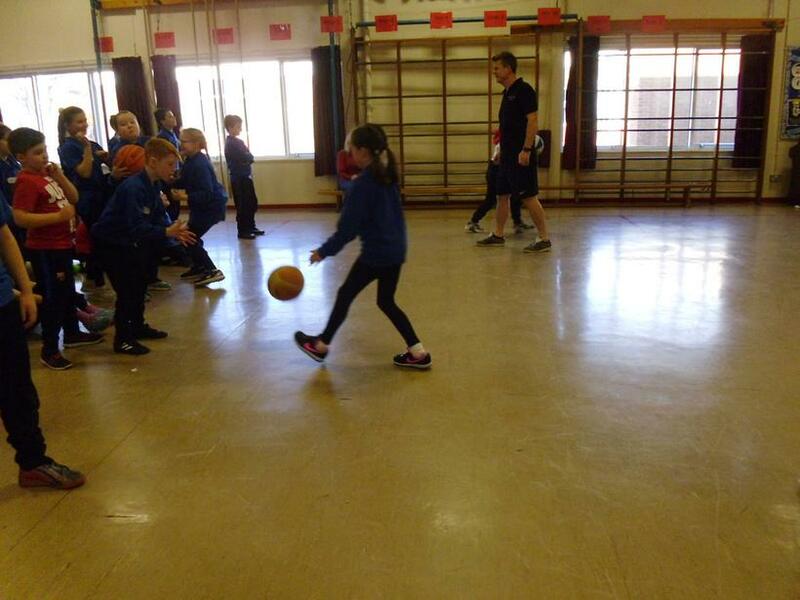 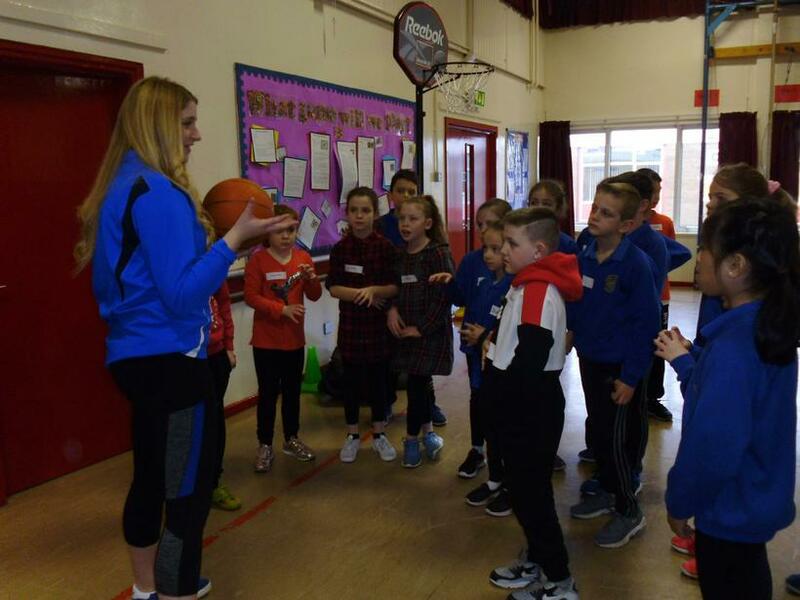 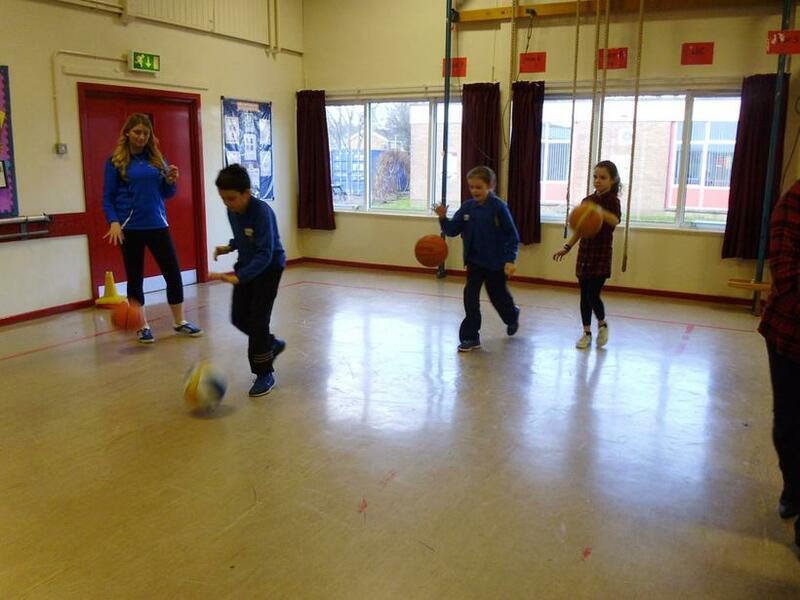 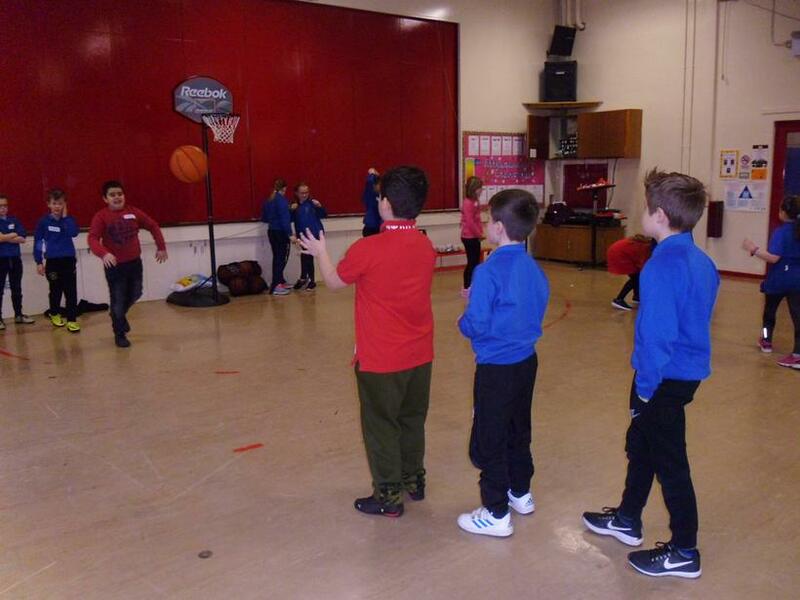 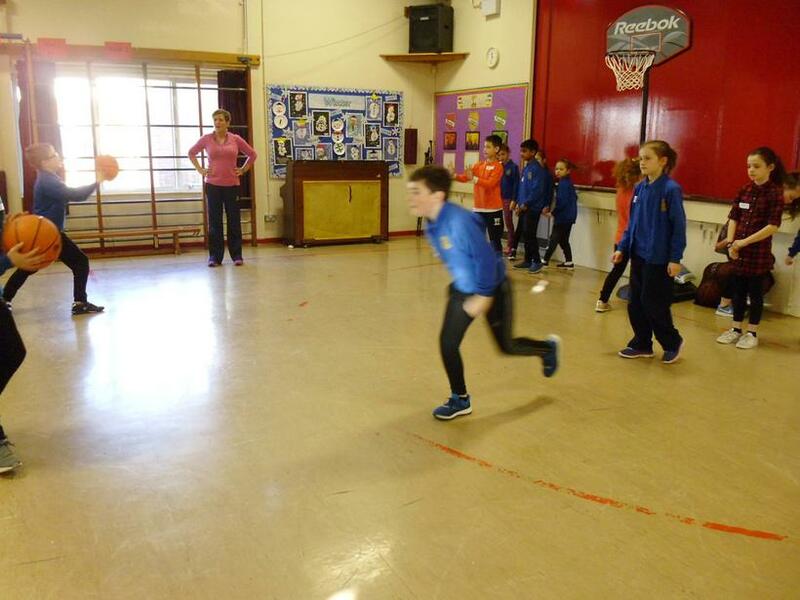 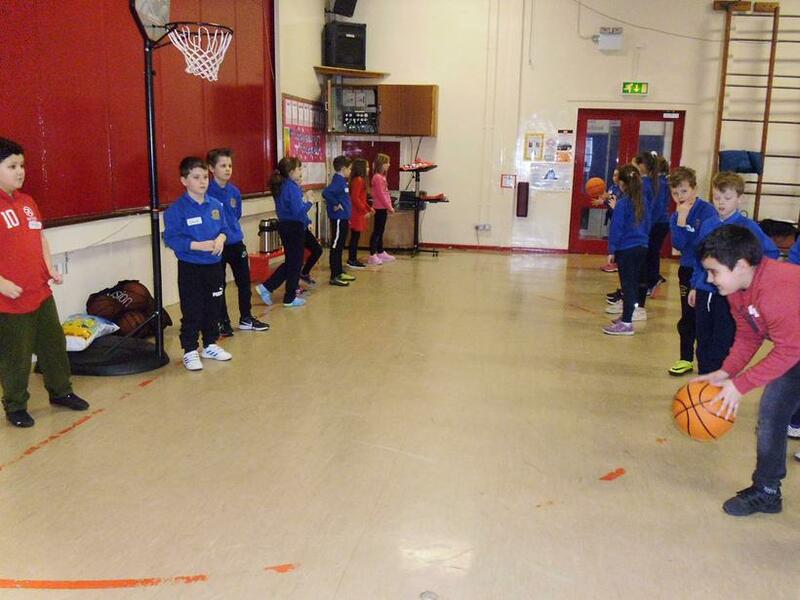 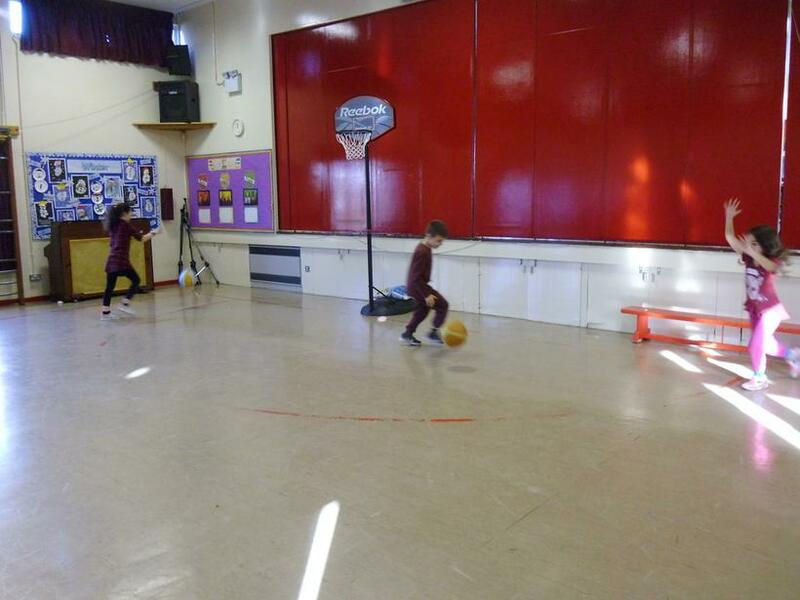 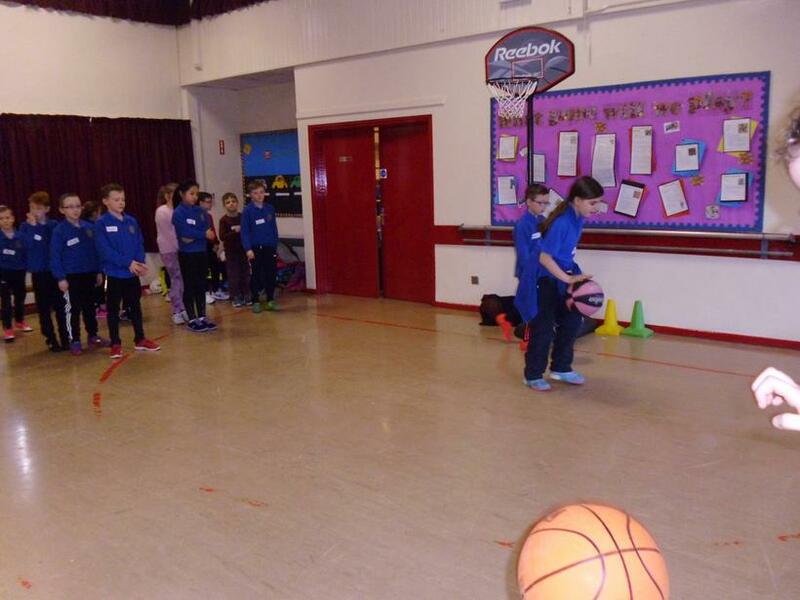 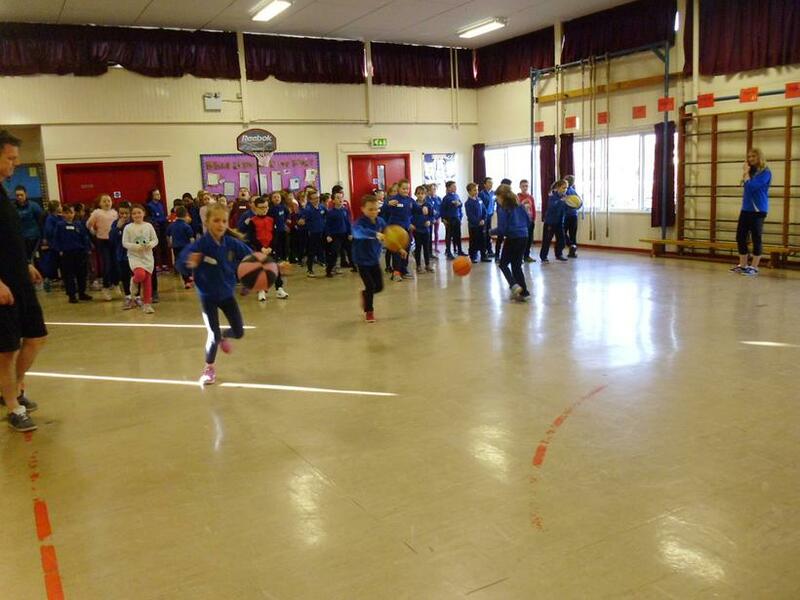 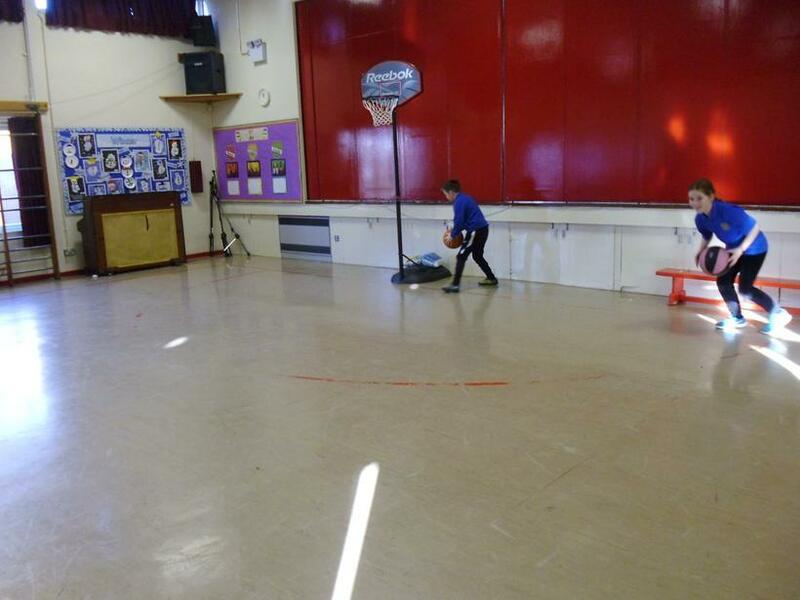 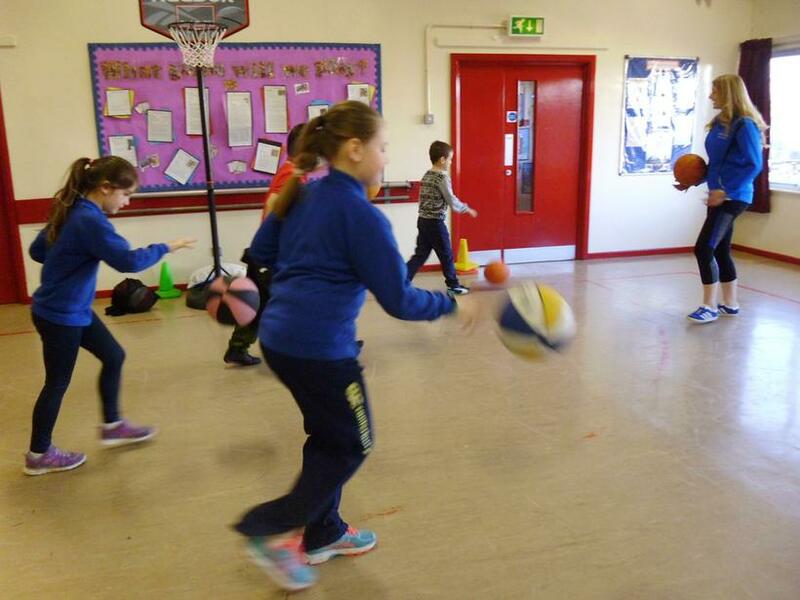 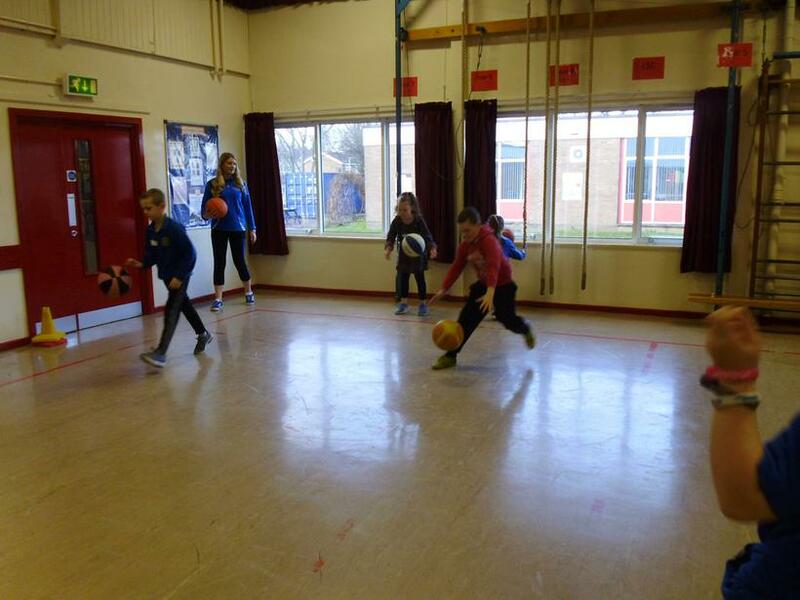 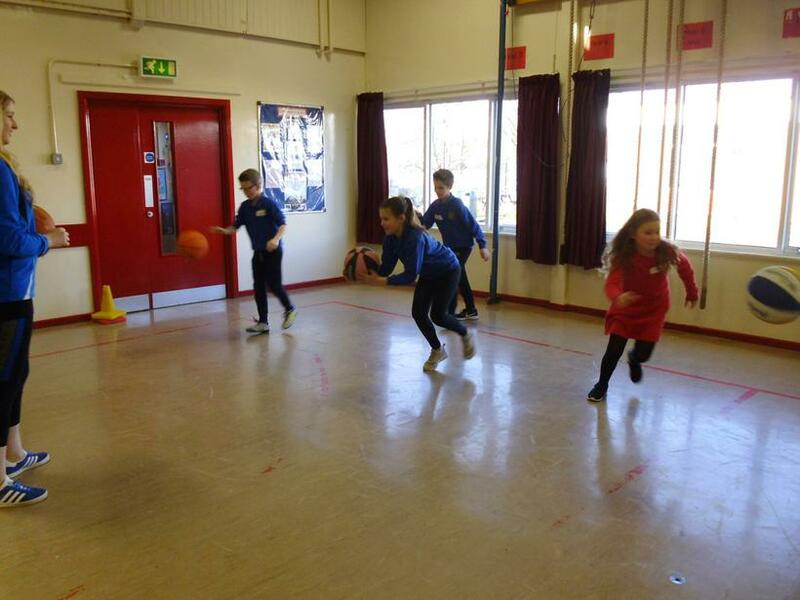 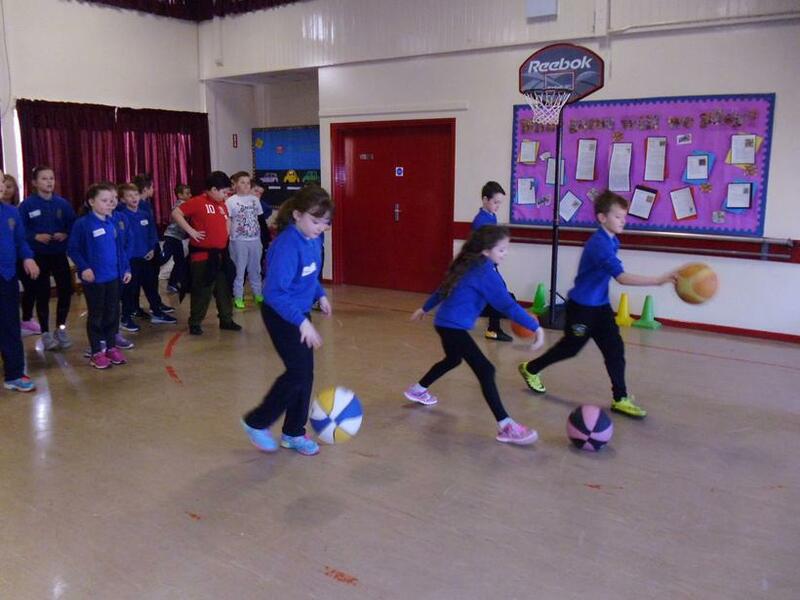 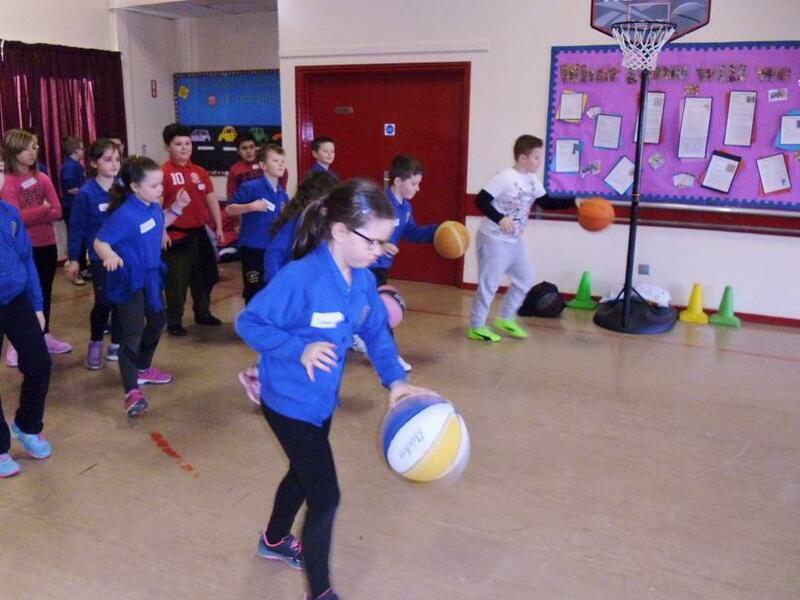 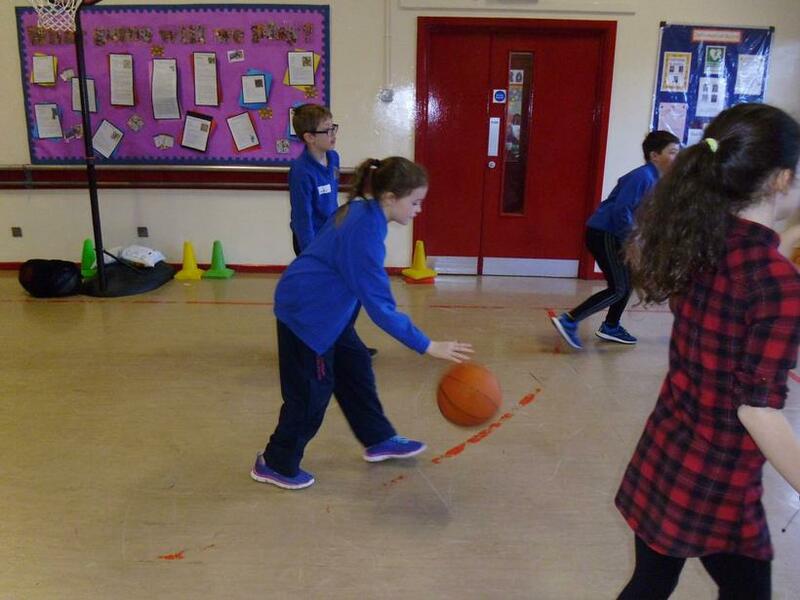 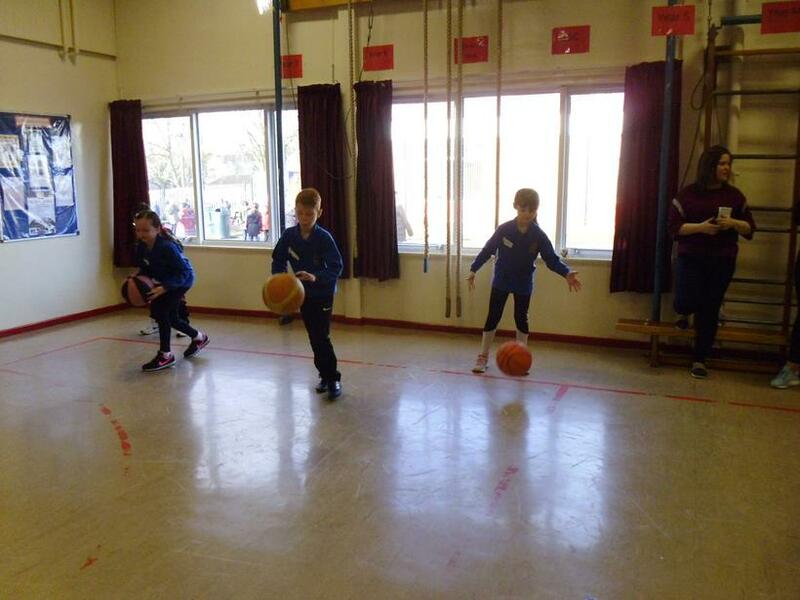 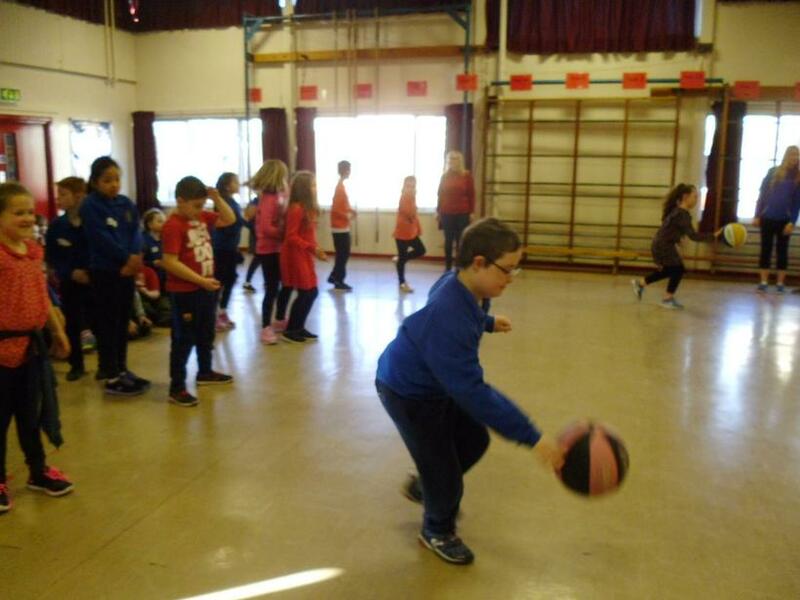 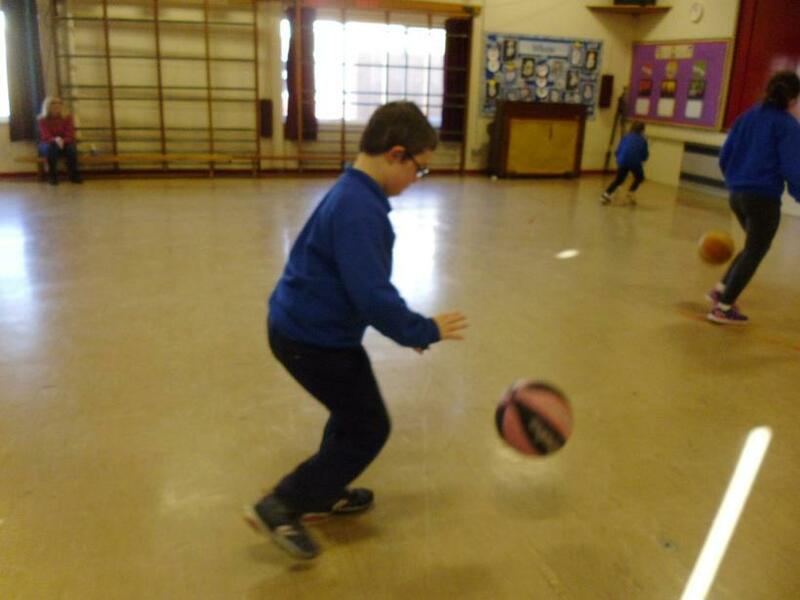 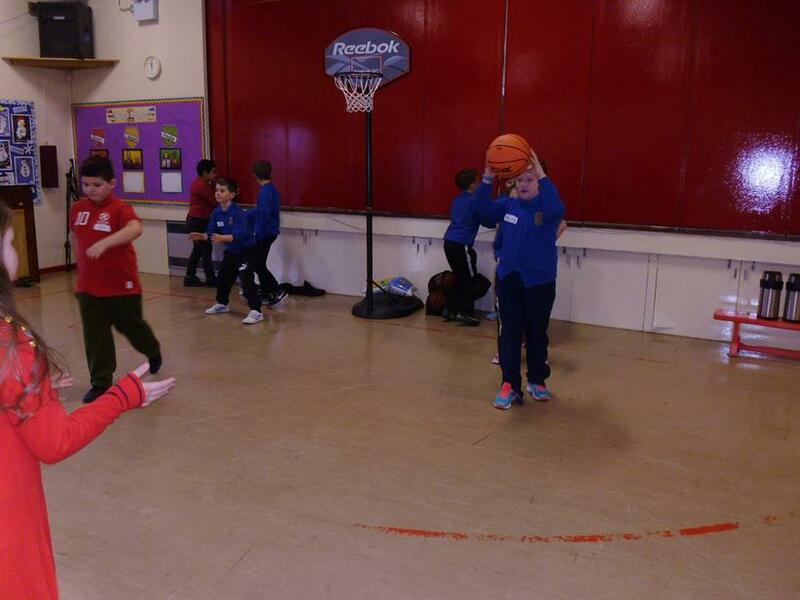 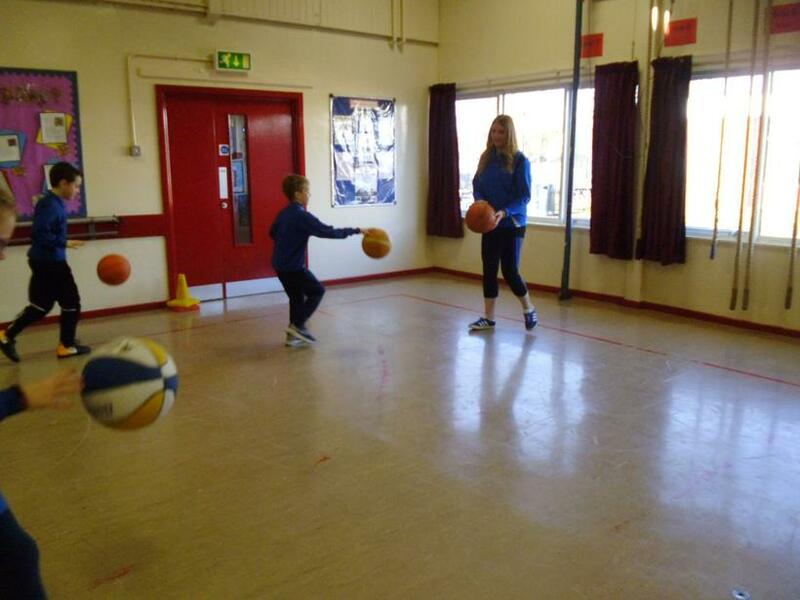 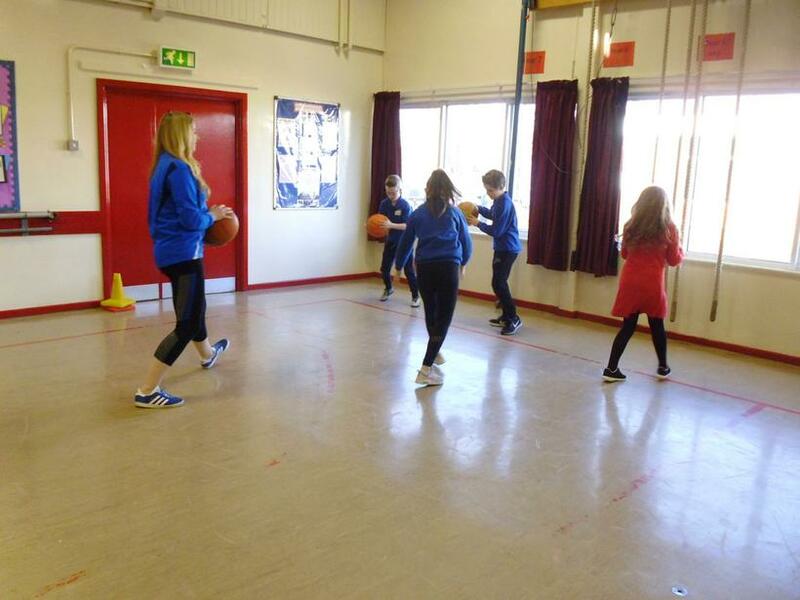 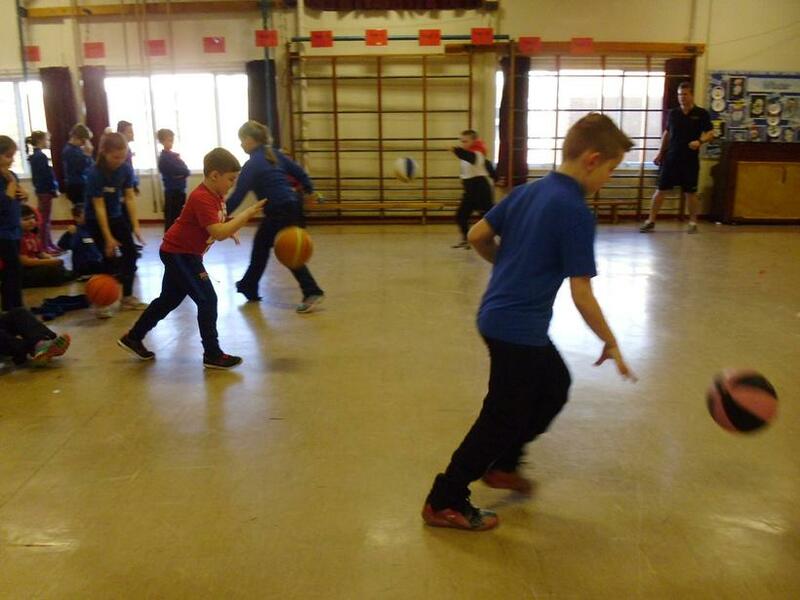 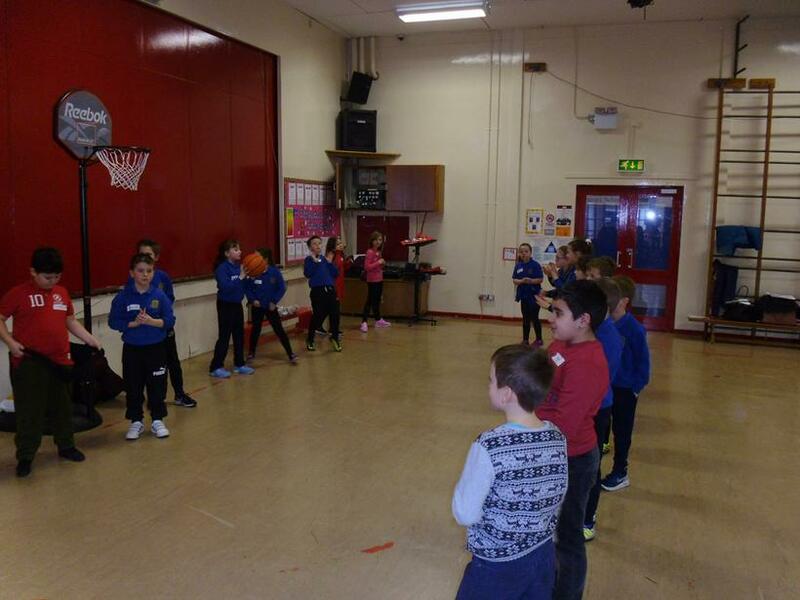 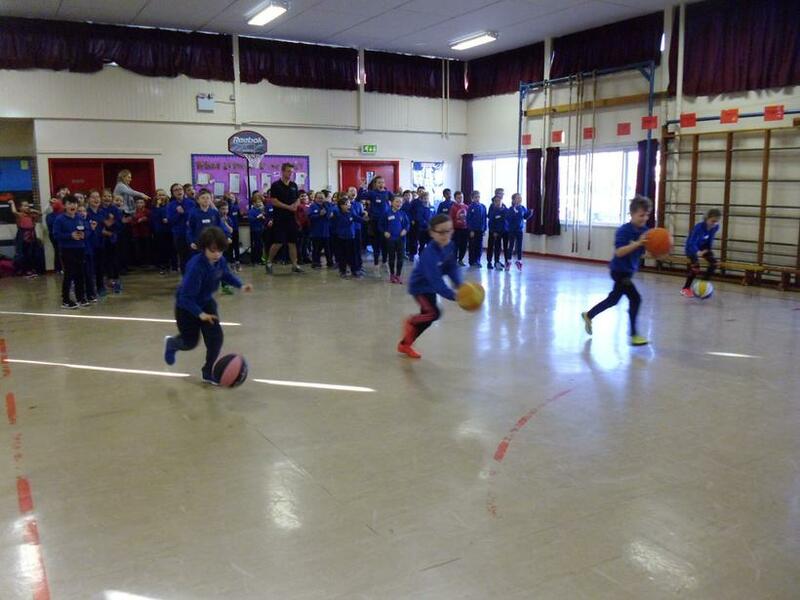 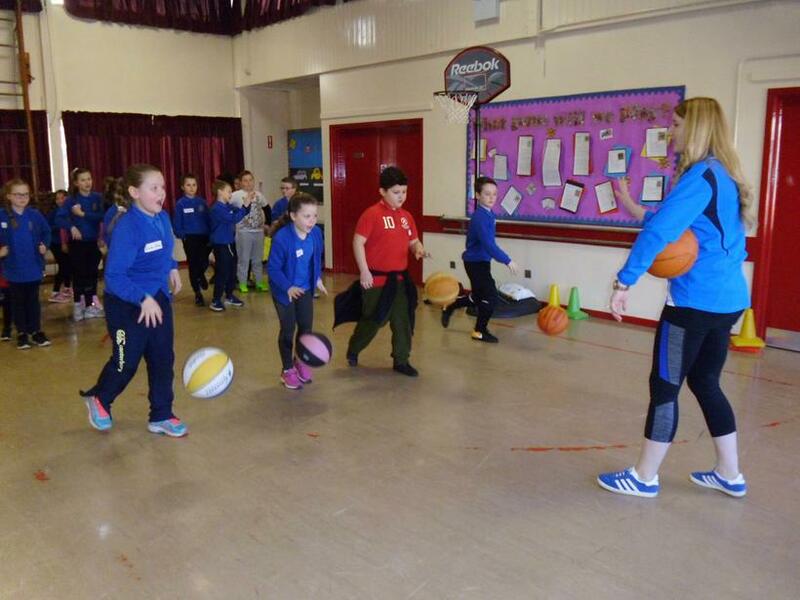 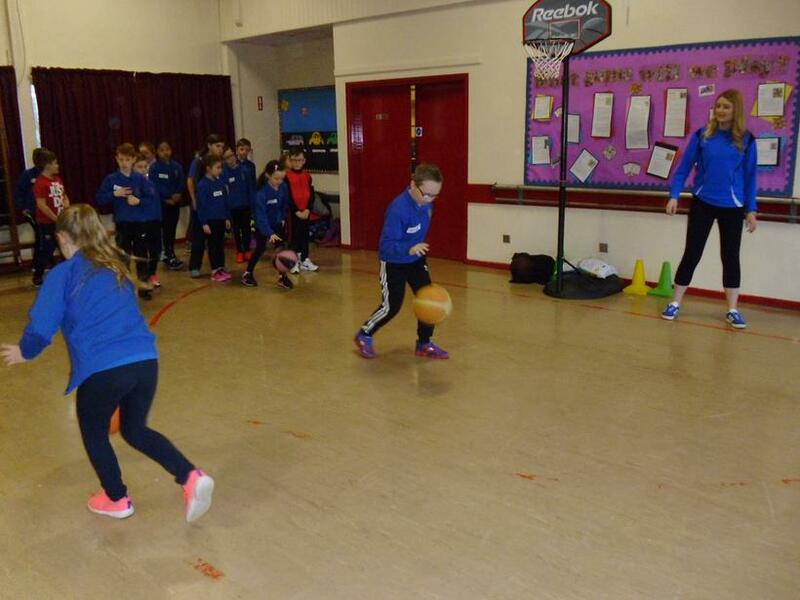 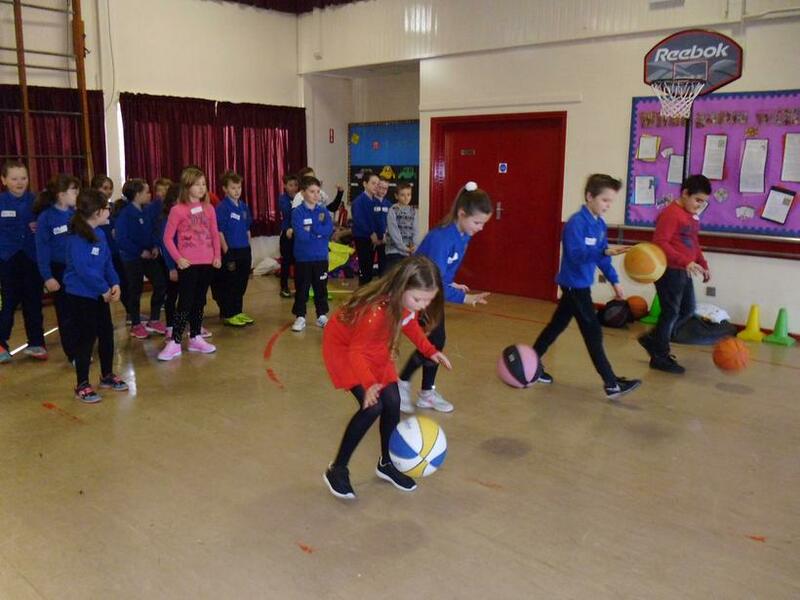 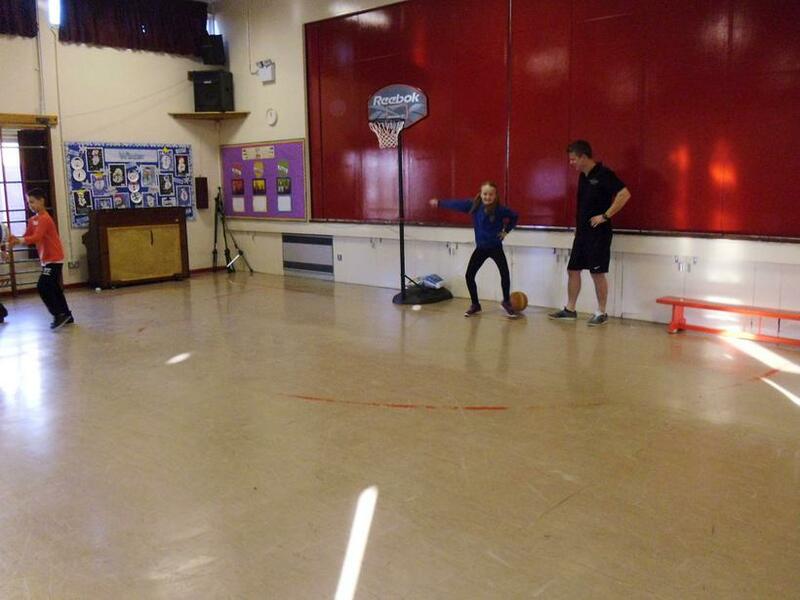 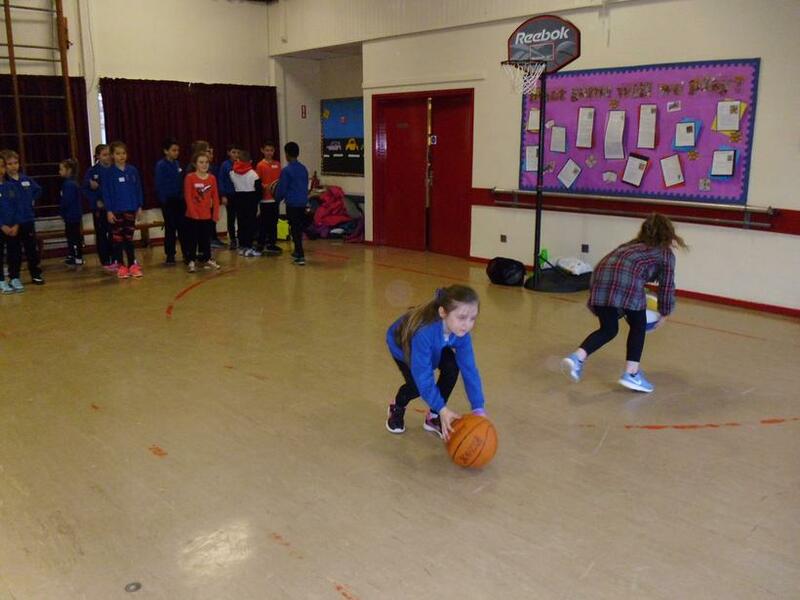 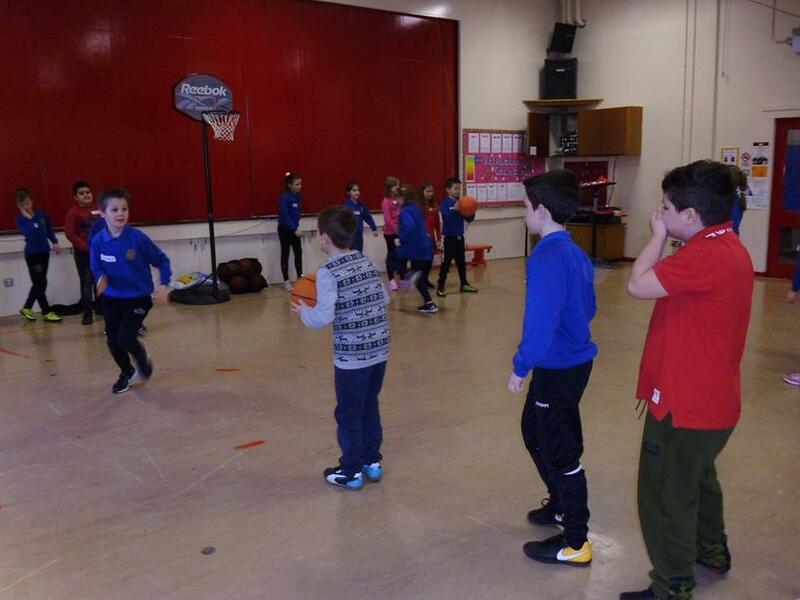 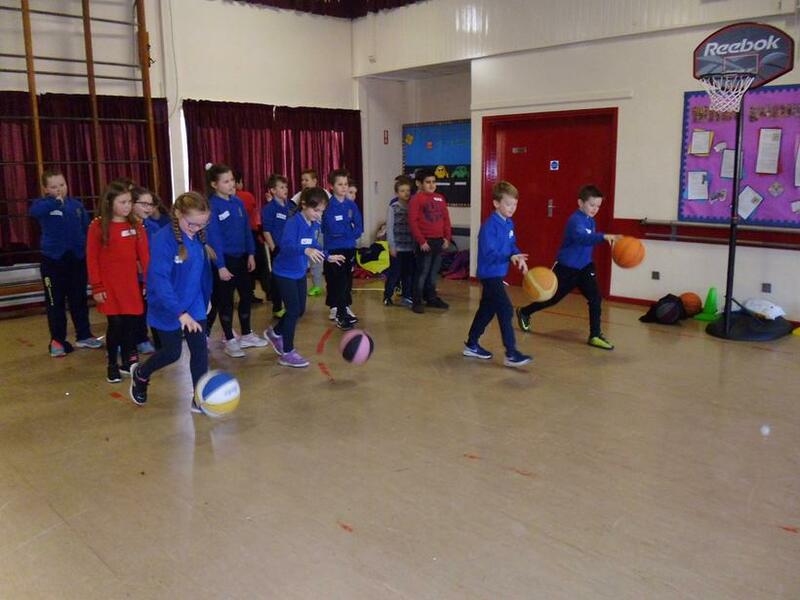 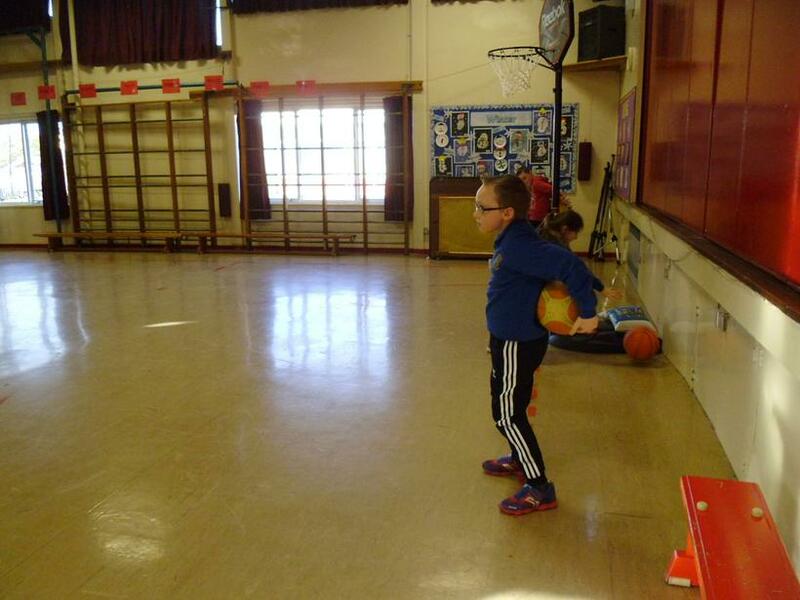 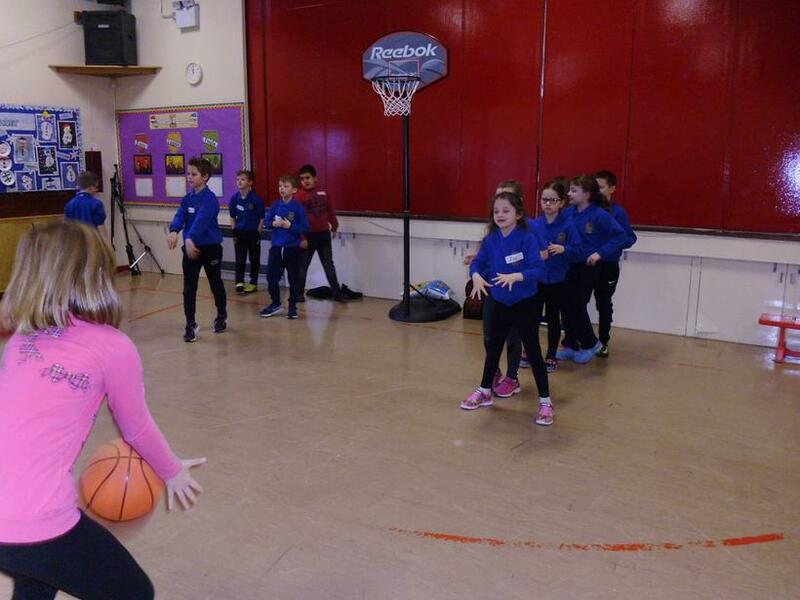 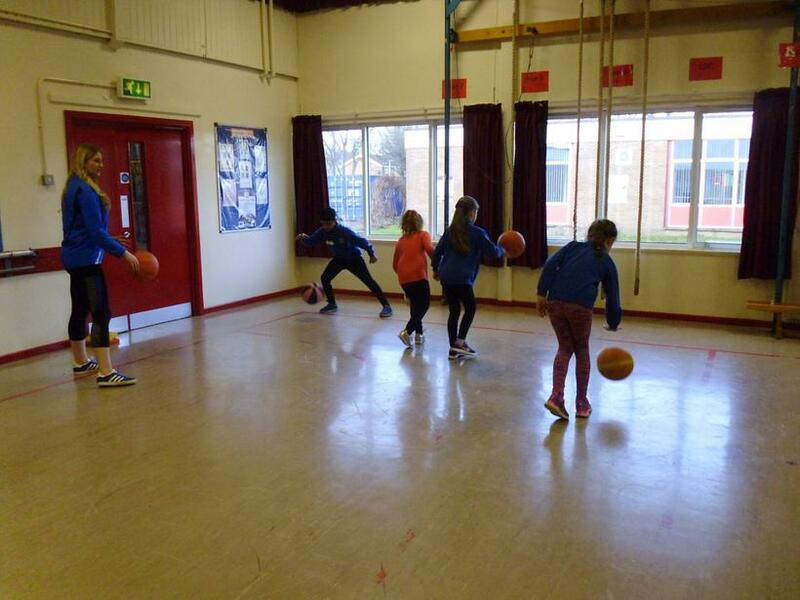 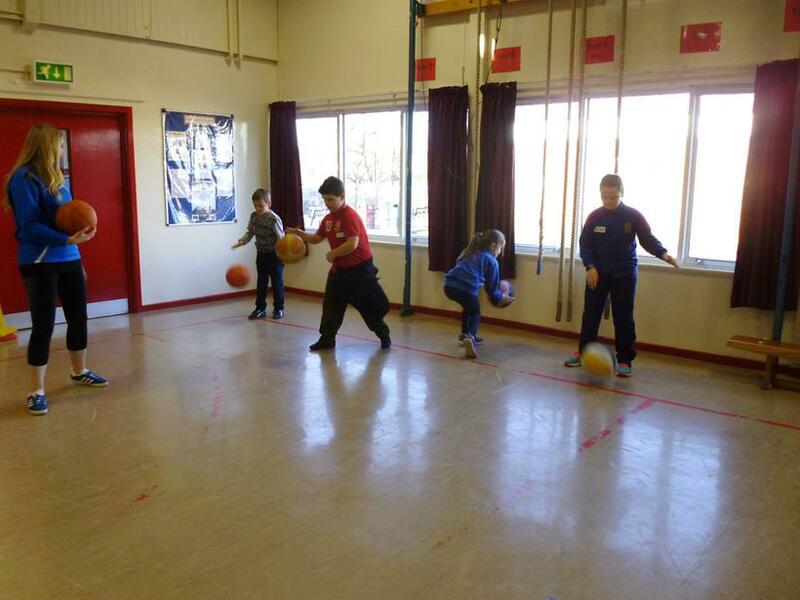 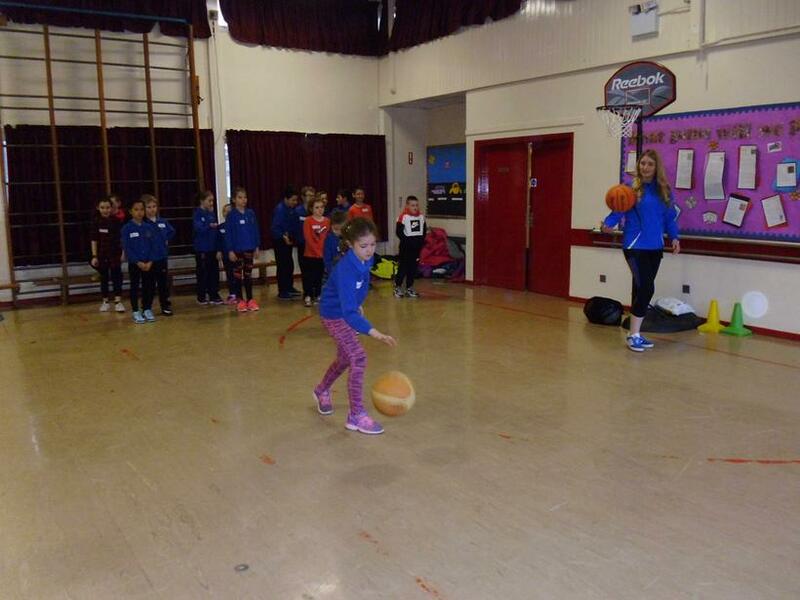 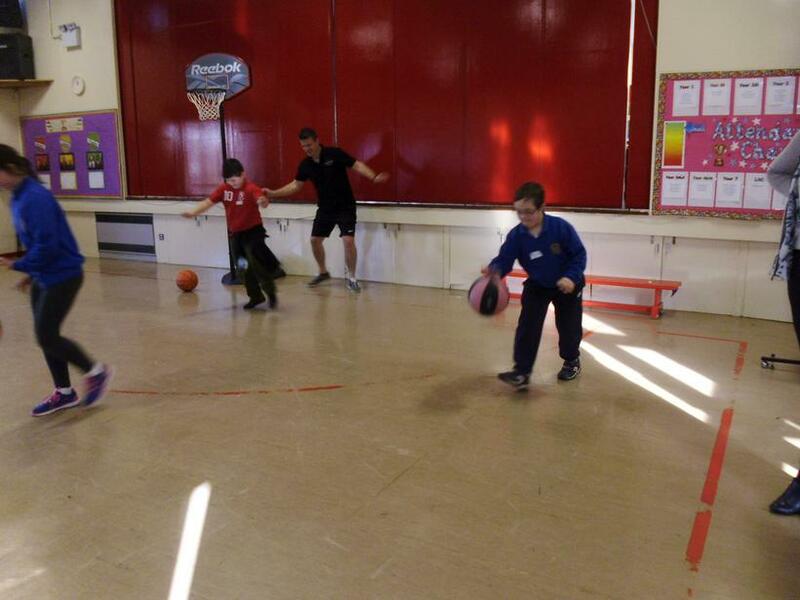 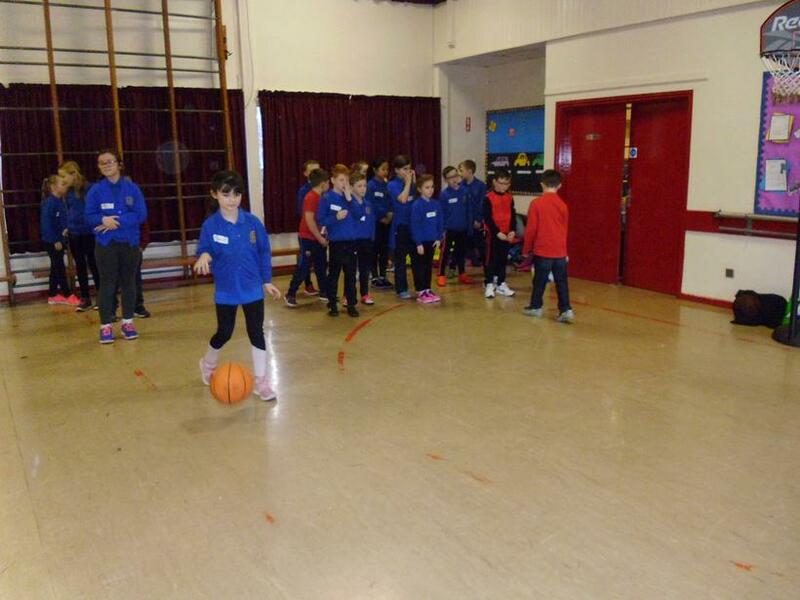 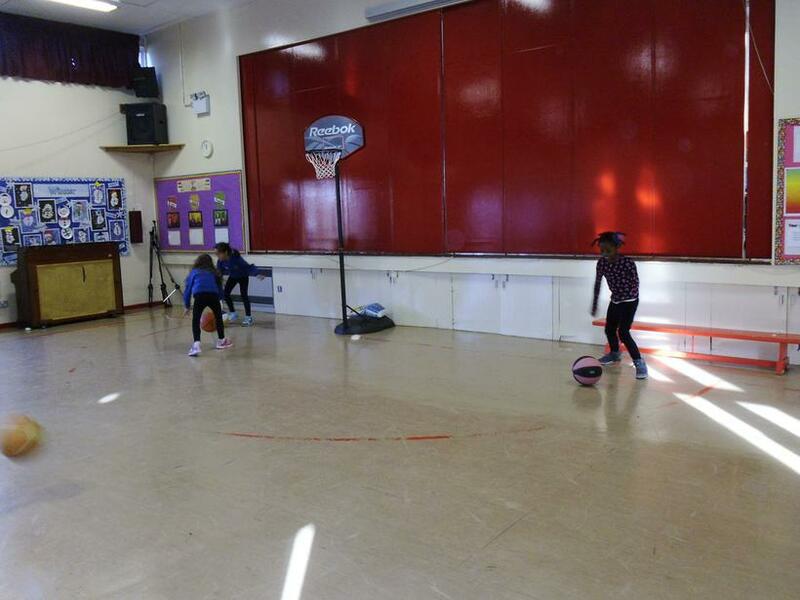 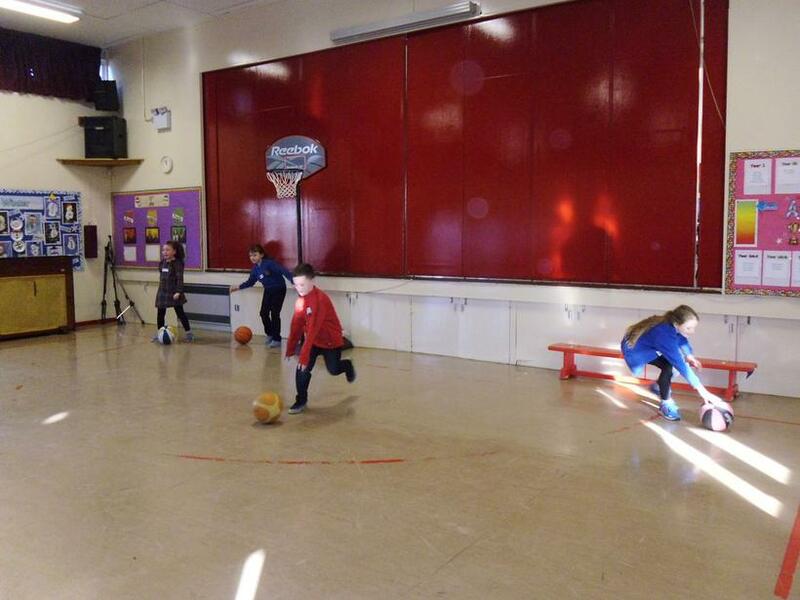 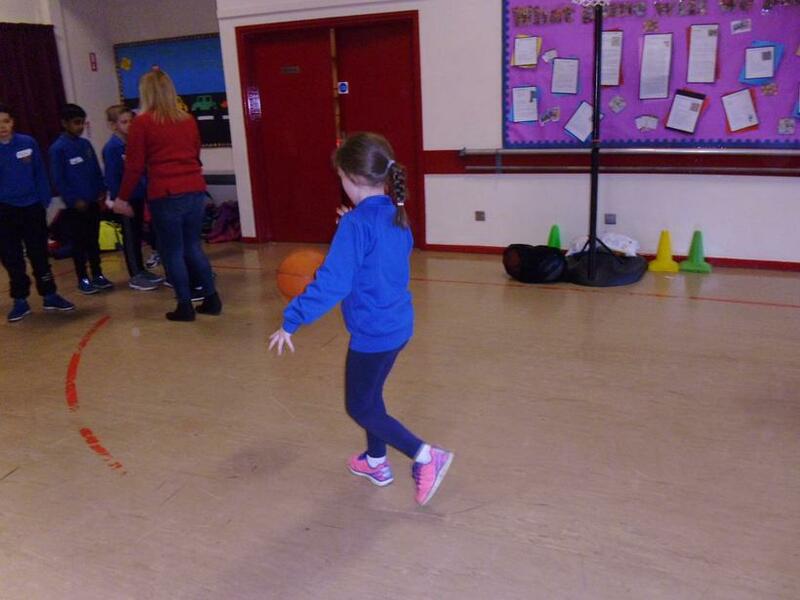 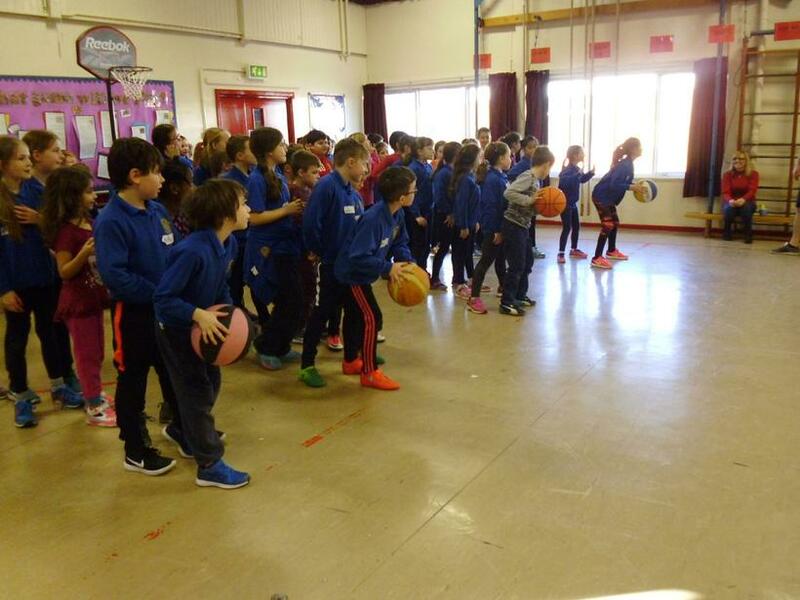 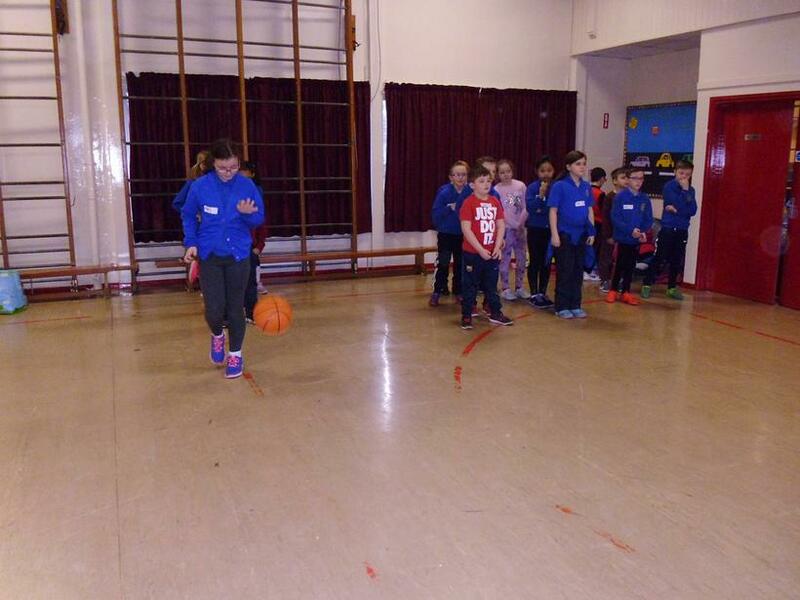 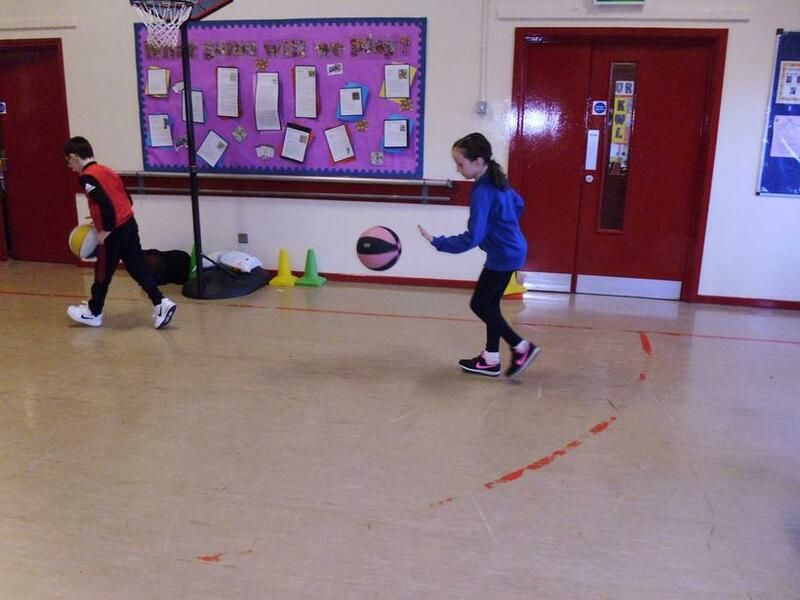 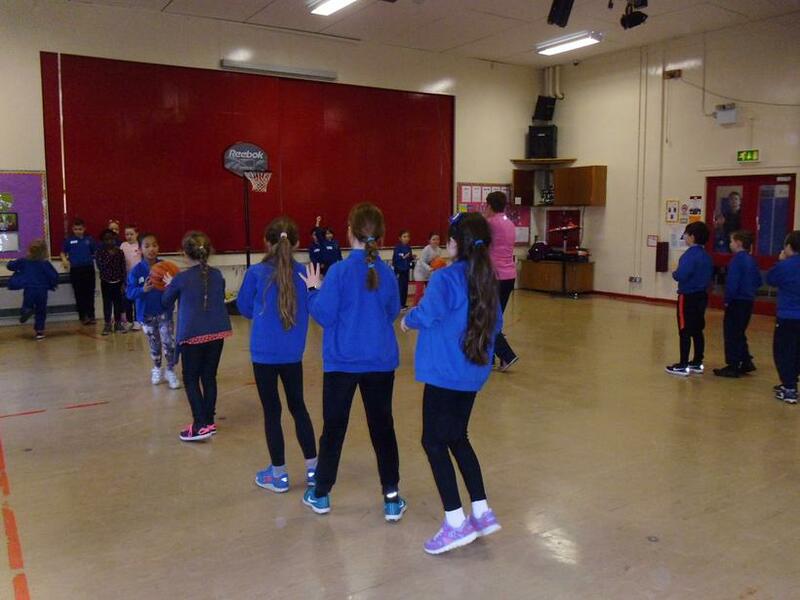 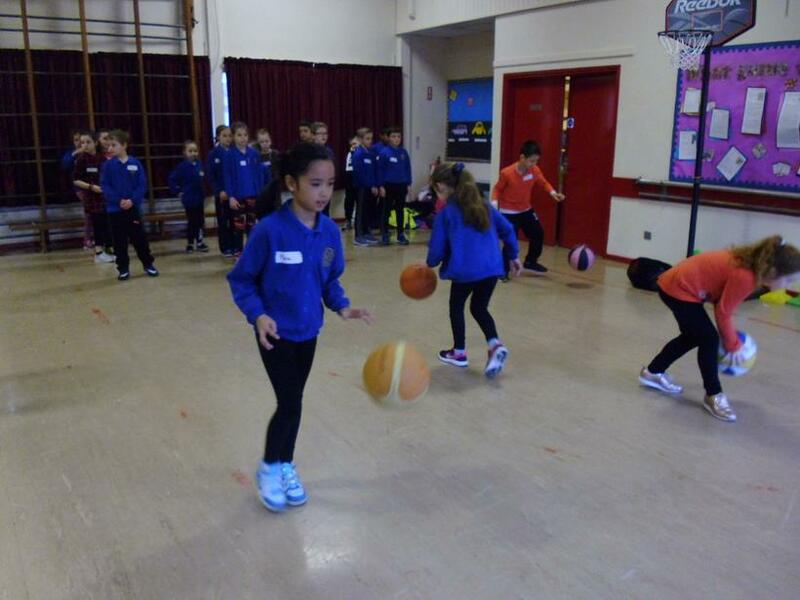 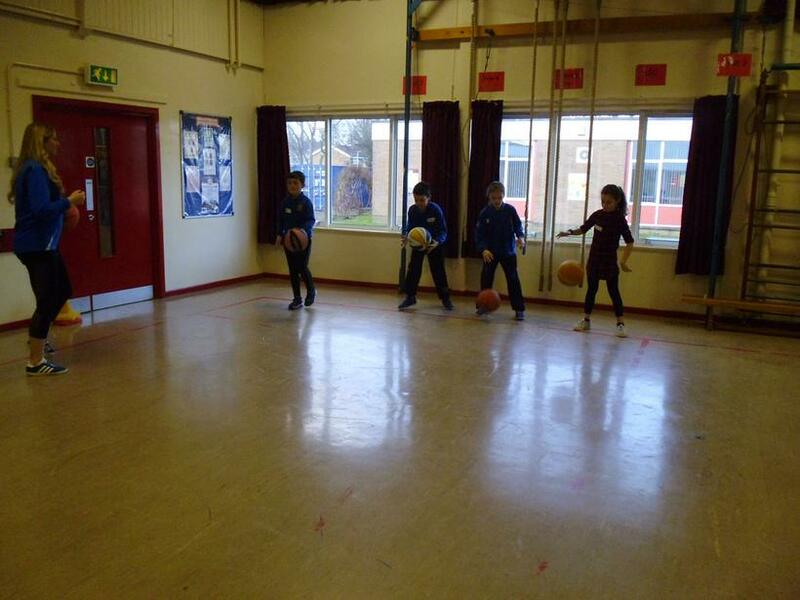 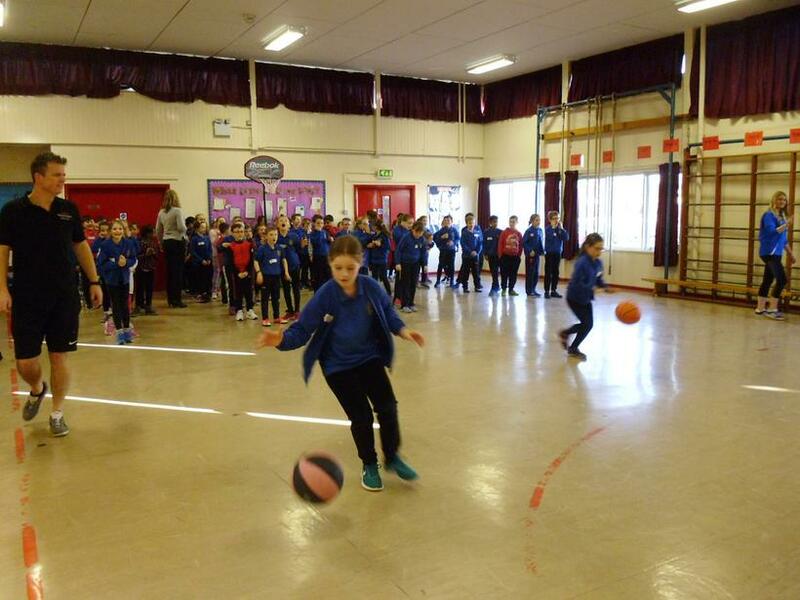 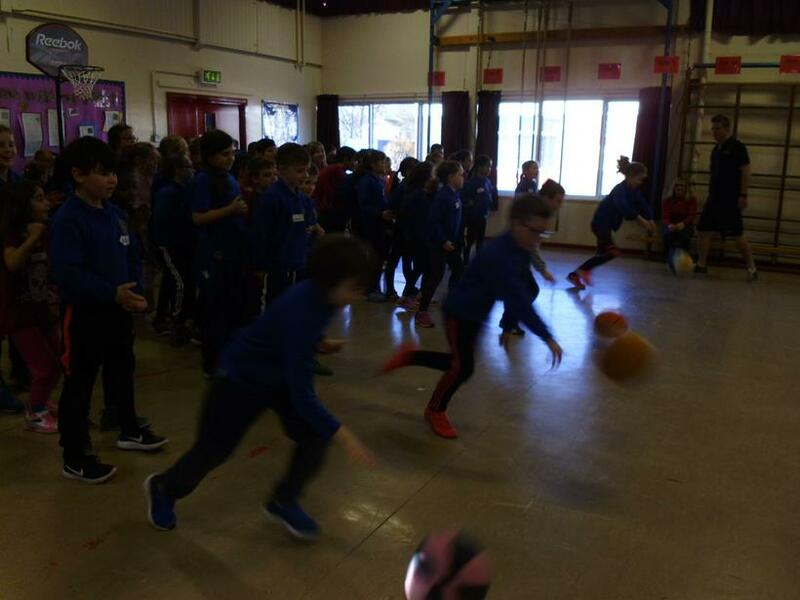 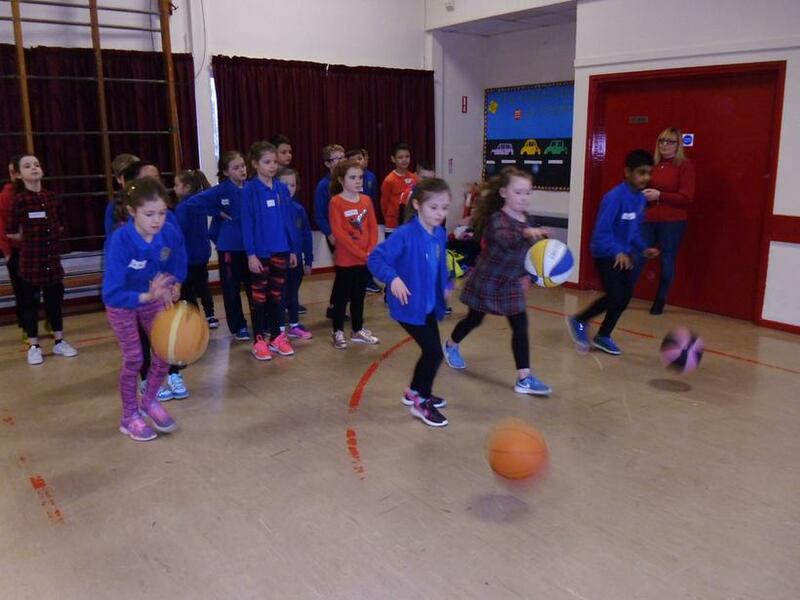 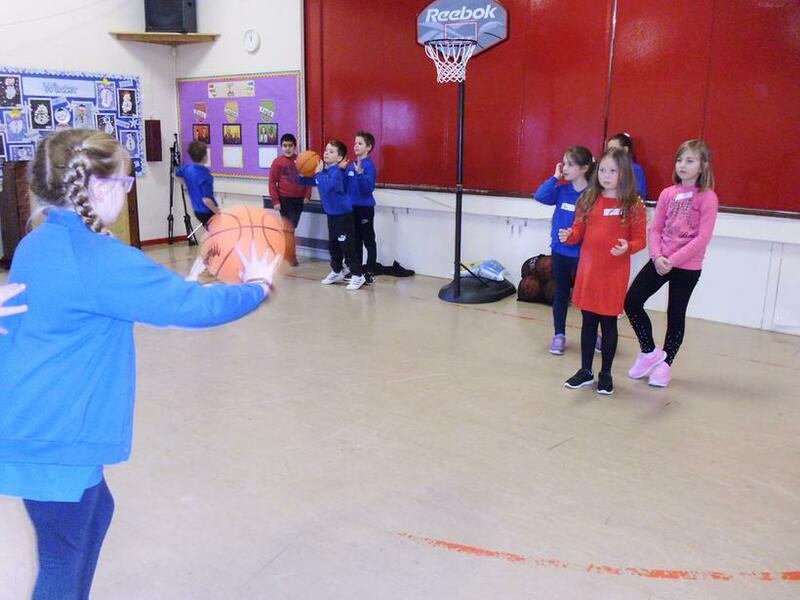 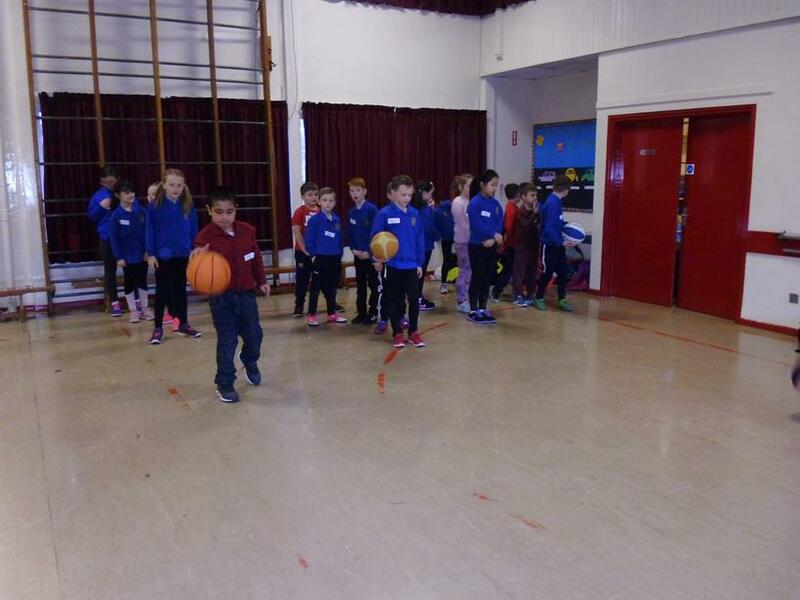 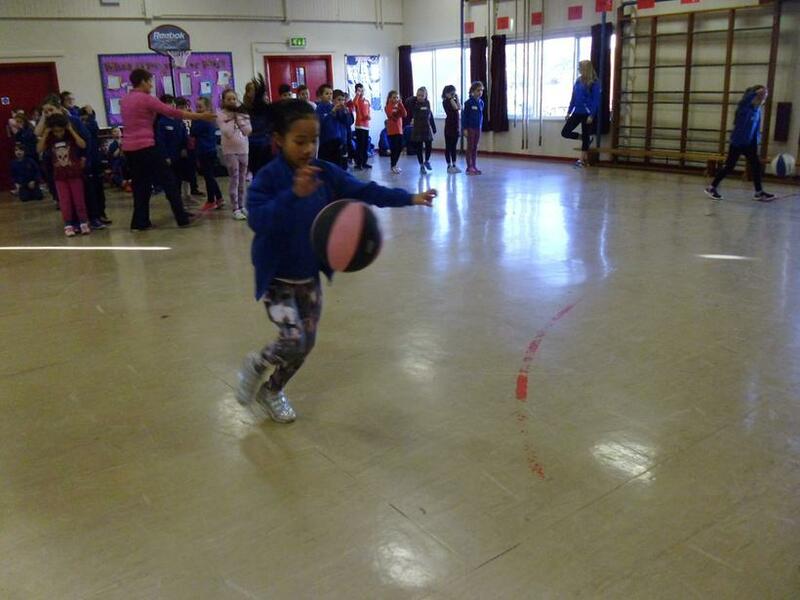 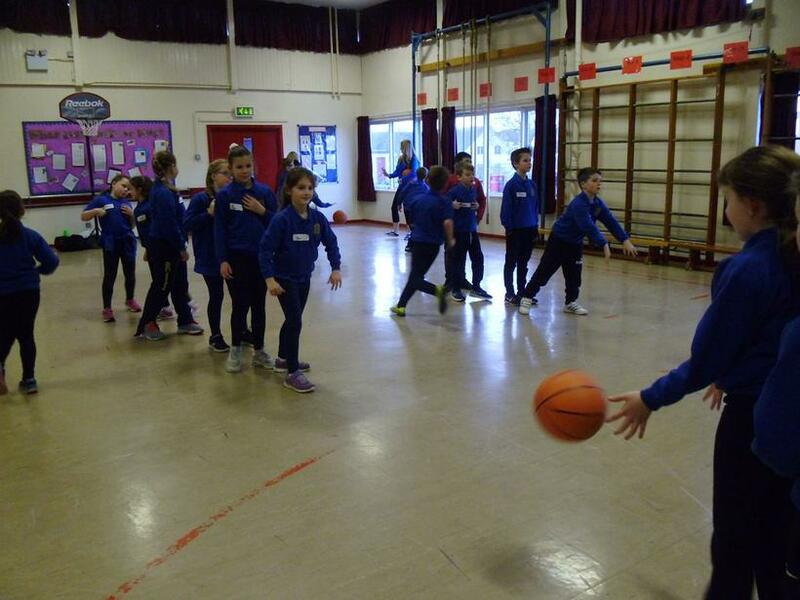 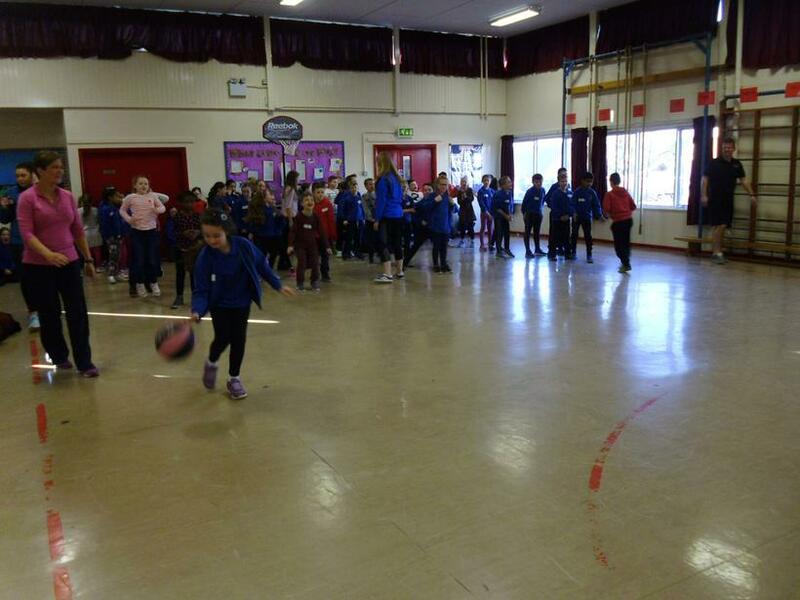 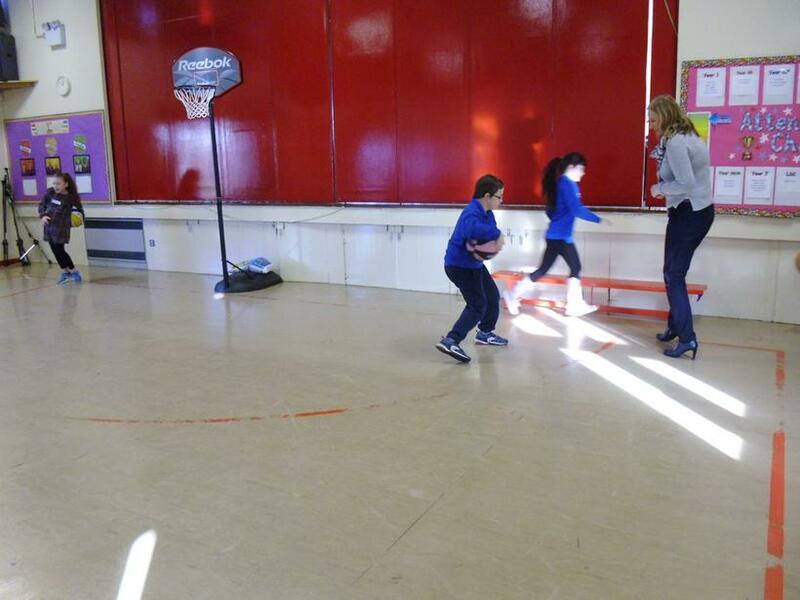 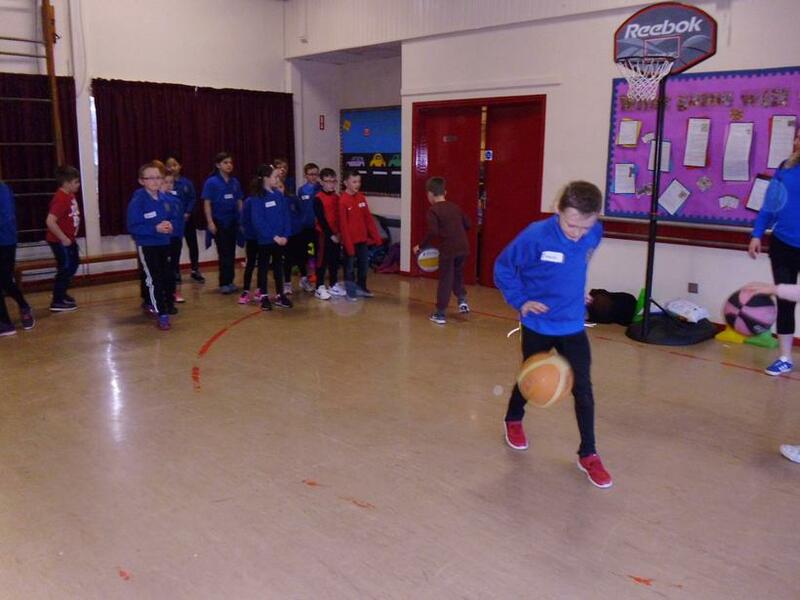 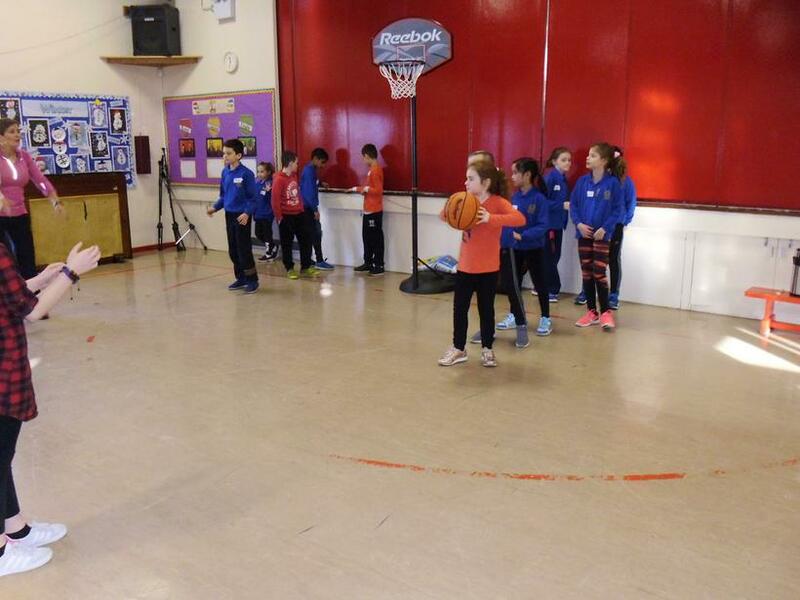 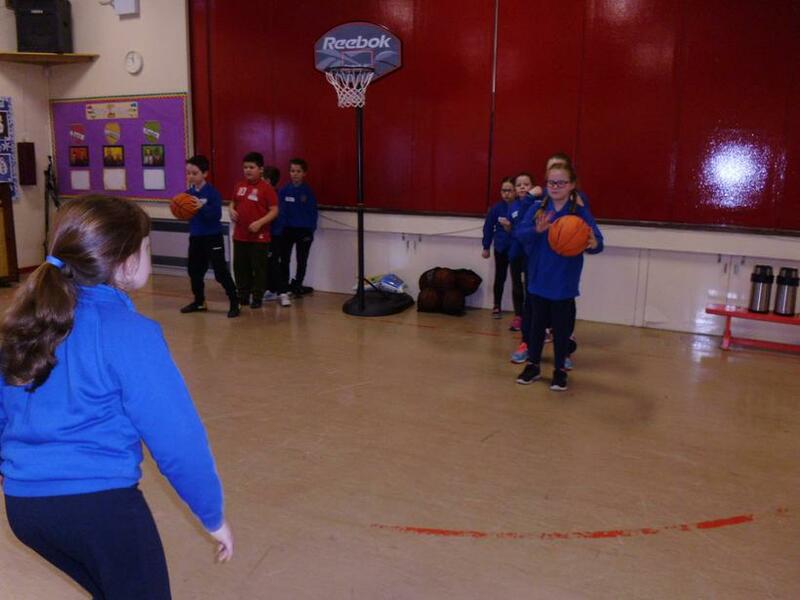 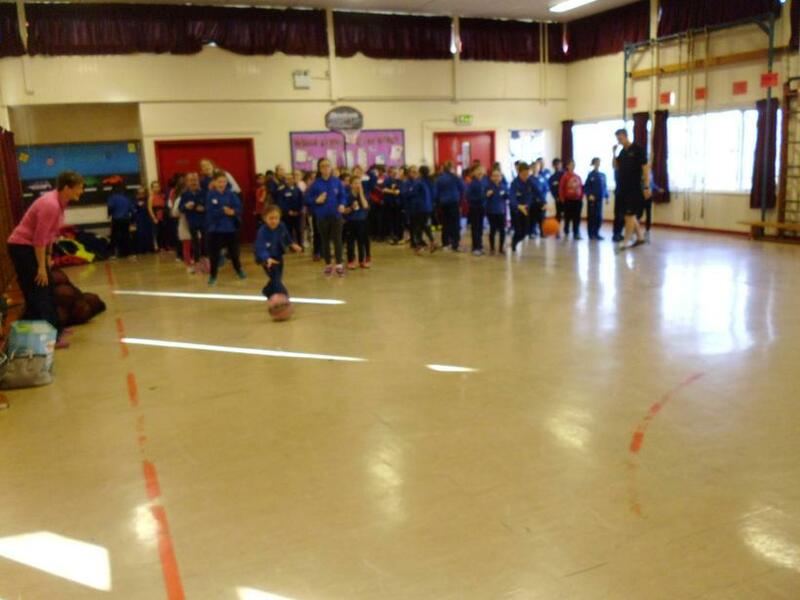 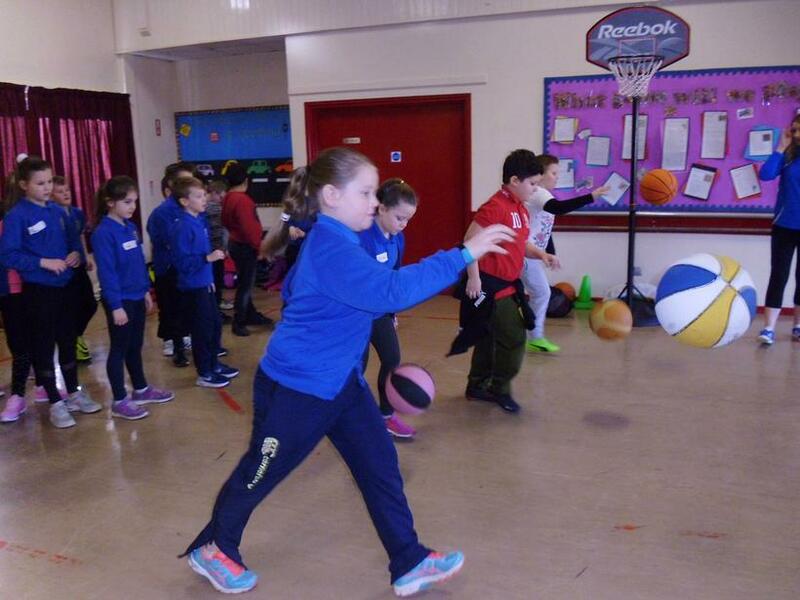 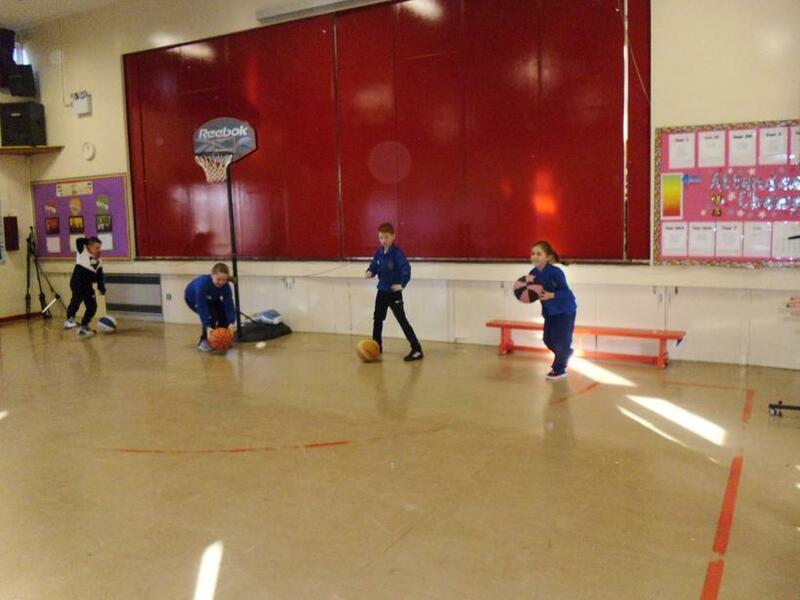 We were taught the basketball skills of dribbling and passing.